Author gumbopiratePosted on November 8, 2017 Leave a comment on Bequia Sweet! For the past 5 years, we have been going to California each spring. We alternate between Wine Country and San Diego. We can’t pick a favorite- they are both great! When in Napa, we have enjoyed staying in Yountville at the Hotel Yountville. There are lots of fine dining restaurants and tasting rooms within walking distance. It is a great central location that one can enjoy without a car. It can be nice to not have to worry about driving when you are drinking wine all day! For a quieter and more remote location, we have enjoyed staying in the Russian River Valley. 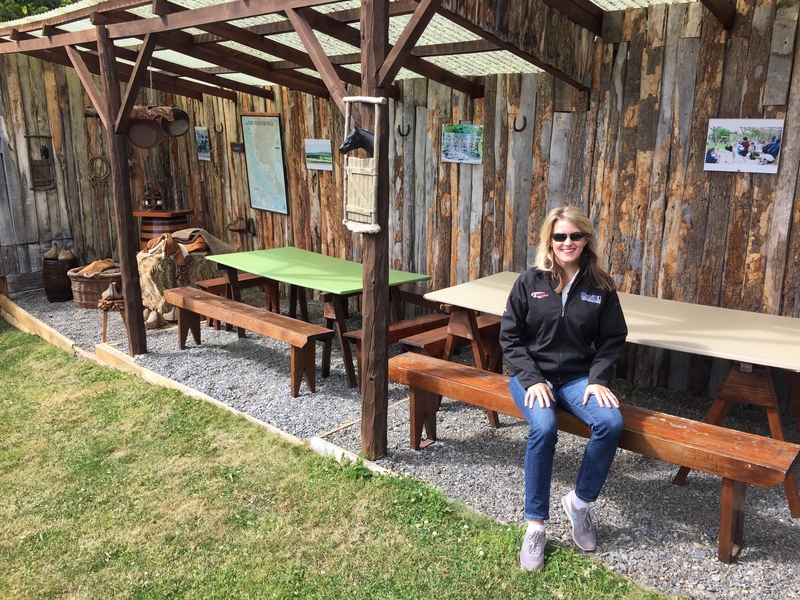 We like to winery hop and visit all of the small, rustic wineries, where tastings are super casual and no reservations are needed. We also like to visit Armstrong Redwoods Natural Reserve for some gorgeous scenery and a break from all of the eating and drinking. In the San Diego area, we love the Grand Del Mar Resort. The grounds are gorgeous, the service is second to none and the spa is the best we have ever experienced. If you want to be pampered and completely relax, the Grand Del Mar is the place to be! Getting pampered at the spa. The Grand Del Mar is so large, you can be entertained for several days without ever leaving the resort grounds. However, there is much to see and do in the area. We enjoyed hiking the dunes and lunching by the sea in La Jolla. Author gumbopiratePosted on July 12, 2017 Leave a comment on California Dreaming…. As 2016 comes to a close, we have been reflecting about the whirlwind that the last year and a half has been. On the one hand, time has flown by and it hardly seems possible that it has been one year since we have updated this blog. On the other hand, we have gone through some trying times that did not seem to go by so quickly. In August of 2015, Pirate had emergency open heart surgery. Following the successful surgery, he contracted a viral infection and was readmitted to the hospital and was in pretty bad shape for a bit. 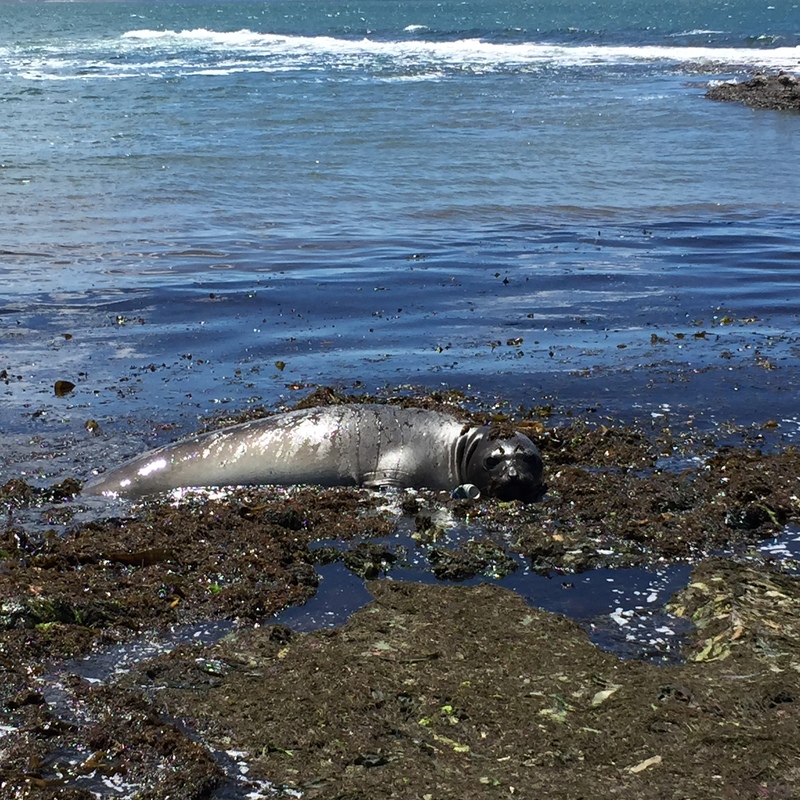 Recovery was slow but progress was steady and his strength and stamina eventually returned. Rum drinking commenced again (although now interspersed with regular cardio exercise sessions and a healthier and nearly meat free diet). As expected, we had a lighter travel schedule and our adventures were mostly closer to home. However, when a Pirate recuperates, it must be somewhere warm and tropical where rum is in abundance, the salt air fills ones lungs and the sea provides the soundtrack. Back to Bequia we went! This time, with a lesson about the fragility of life fresh in our minds, we experienced it a bit differently. We savored it more. Spent more quiet time. Read less and watched the weather roll in and out over the harbor more. The time still flew by, but when we returned from our 5 week respite we were rejuvenated, rested and ready to get back to reality. Not too ready to return though, we booked another five weeks in 2017 so that we had something to look forward to. This time to Bequia, we selected a different villa named Allamanda located at the highest point of the island, the top of Mount Pleasant. Our reason for changing villas was due to several factors: 1) We wanted to see sunsets 2) We wanted to see boats come and go 3) We wanted a constant breeze (no mosquitoes) 4.) We wanted a flat living space with limited stairs. Our previous villa, while gorgeous, did not offer any of these must haves. This time, we found our forever spot. The villa and location were perfect. Sunsets were spectacular, breezes were constant and mosquitoes were absent. Just as on our last visit, our favorite hangout during the days was De Reef bar and grill on Low Bay Beach. 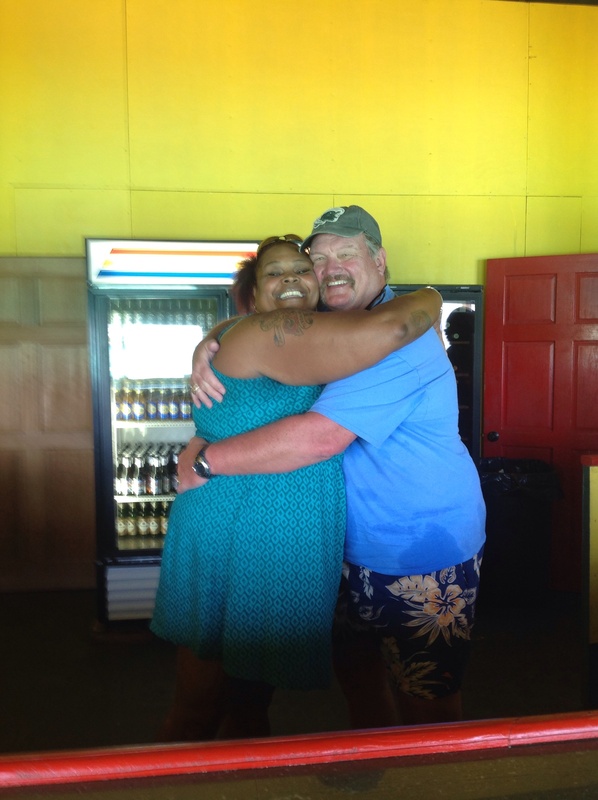 We loved their Callaloo soup, lobster salad, fresh tuna melts and of course the best and most potent rum punch. 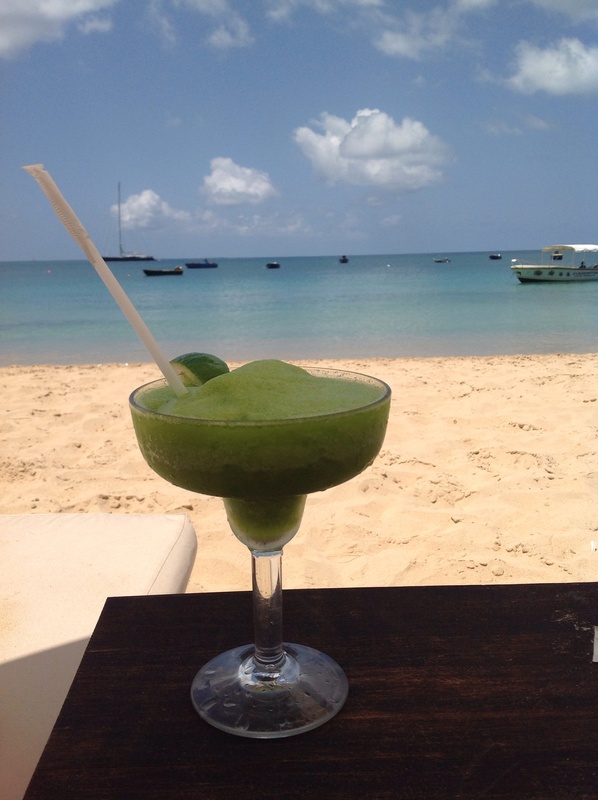 Callaloo soup, tuna melt, rum punch… and a fantastic view! During this visit, the surf and swell on Low Bay was pretty severe on some days, washing over the road and making beach combing and swimming impossible. On those days, we would venture to the opposite side of the island to Friendship Bay and the Bequia Beach Hotel and lime the day away there. 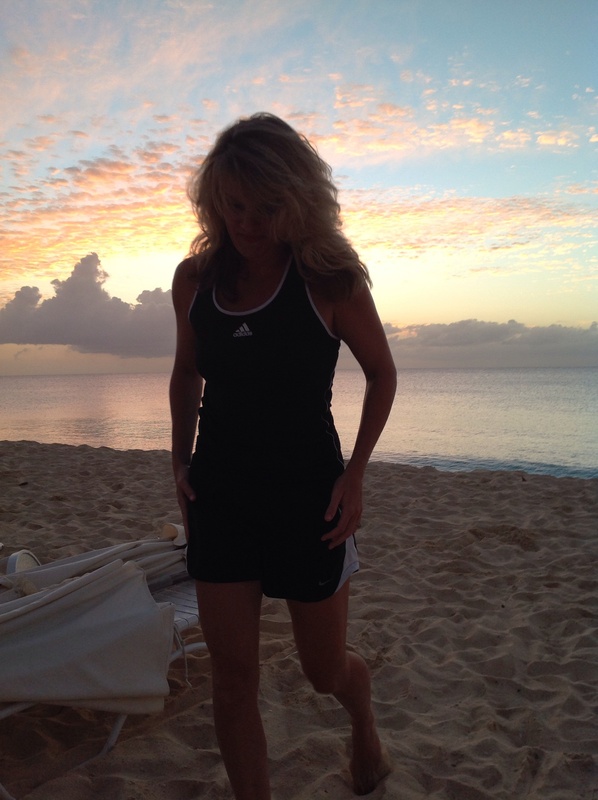 Exercise done, time for Rum! 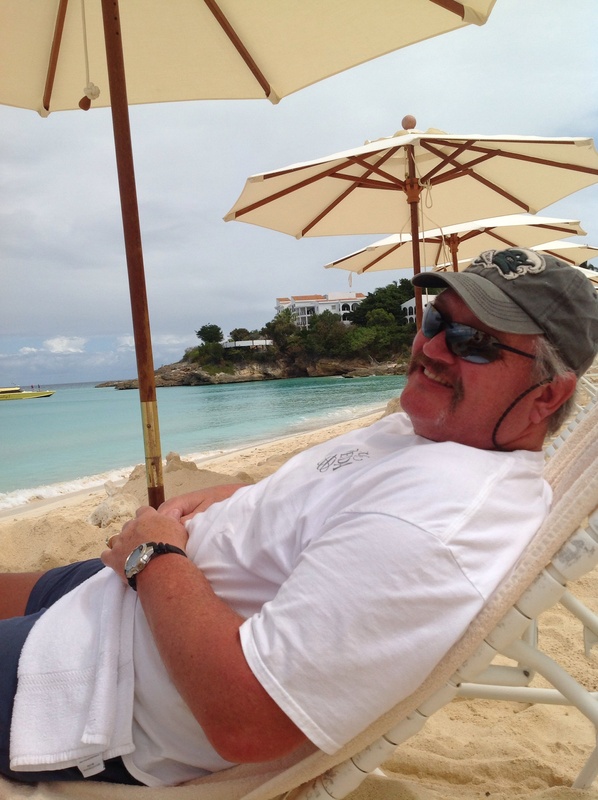 One of our favorites, Bequia Beach Bar! Best rum and guava juice! 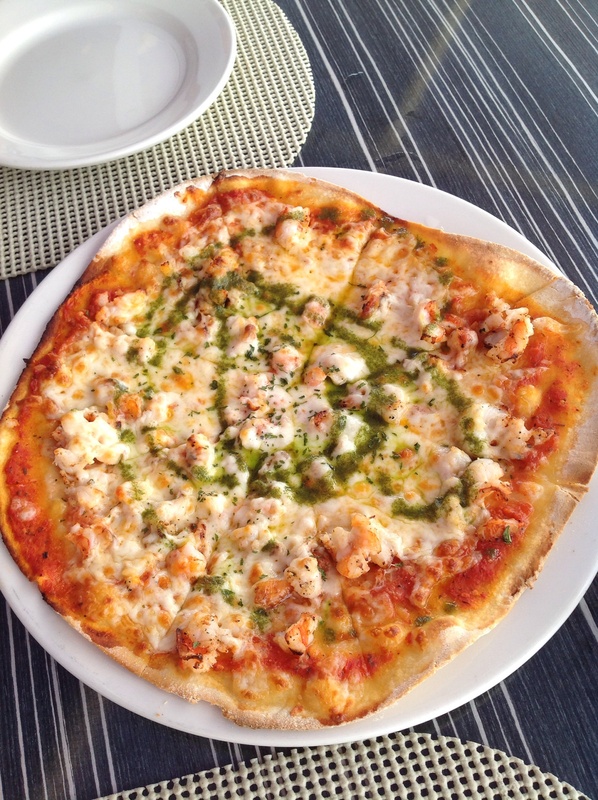 Dinner at Mac’s for their famous Lobster Pizza- but the sunset view is even better. Grocery shopping at our favorite fruit stand.. 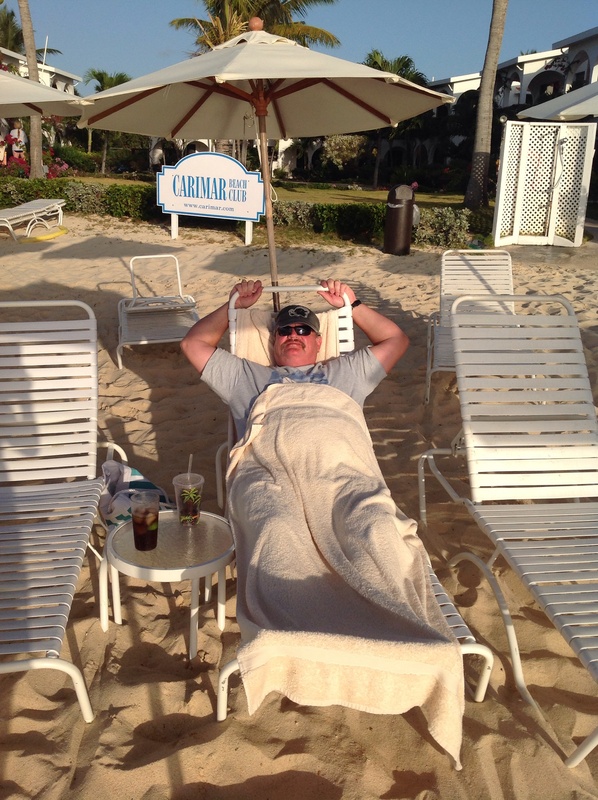 Toes in the sand and rum in my hand…. Our favorite place for local food- Keegans! 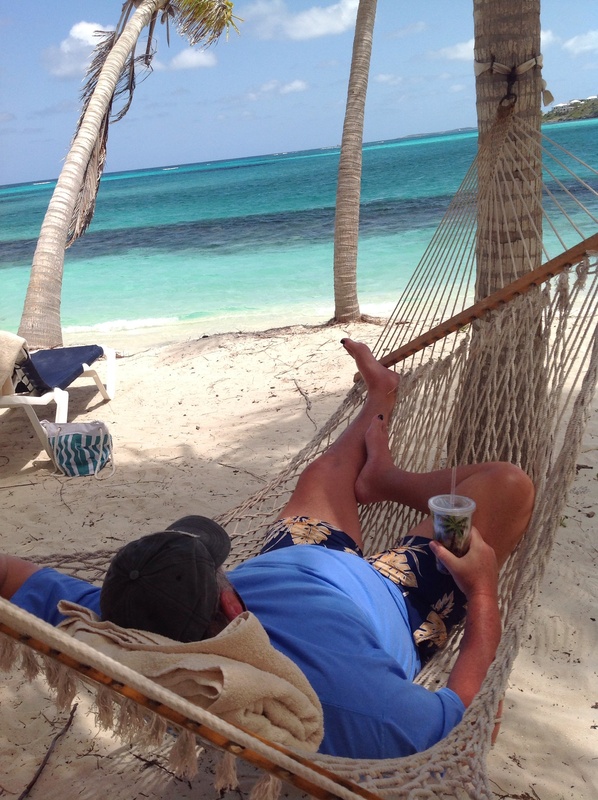 The look of total relaxation…. 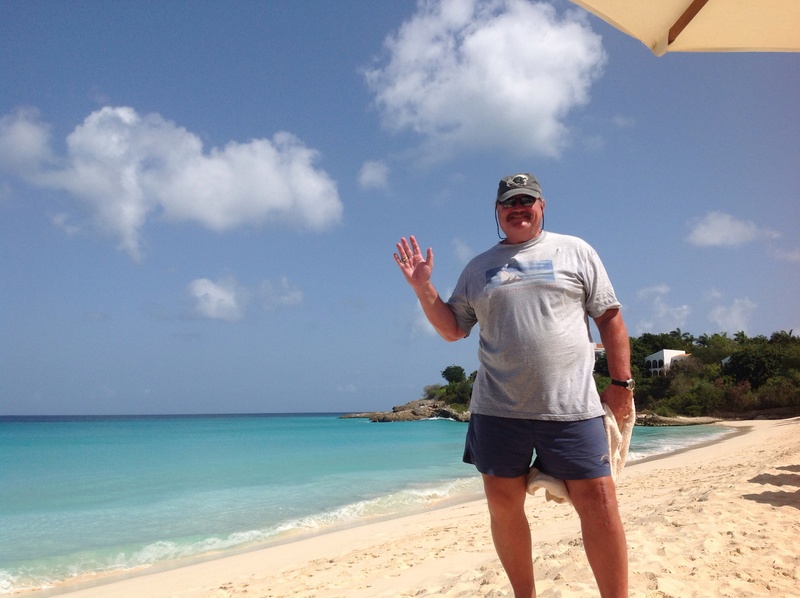 In the Spring of 2015, we went back to Bequia. This time we arrived by air instead of via our boat. This time we stayed high up in the hills of Mount Pleasant versus anchored in the harbor of Admiralty Bay. We wondered when planning this 5 week getaway if Bequia would still be as magical to us as we remembered it as sailors a couple of years ago. In every way, Bequia lived up to our expectations. 5 weeks went by in the blink of an eye and before we left, we re-booked for another 5 weeks in 2016! Our villa in Mount Pleasant was named Whispers. 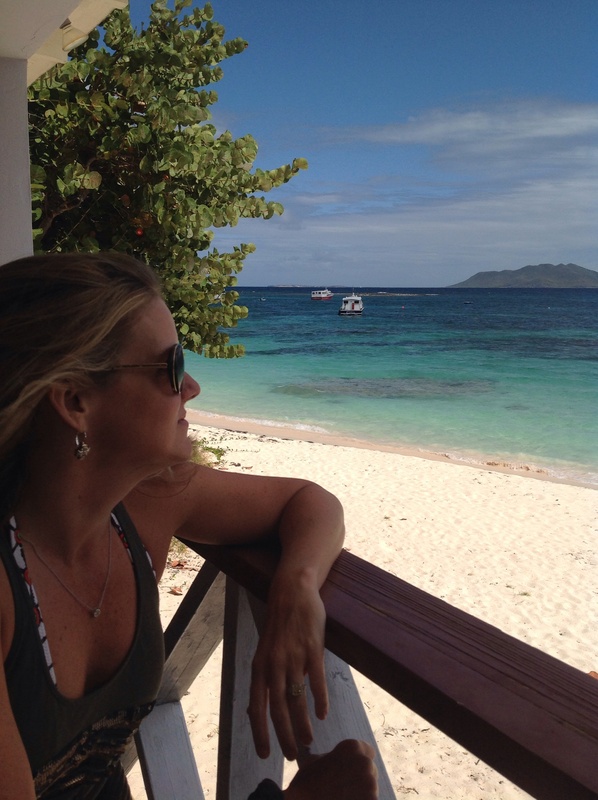 It had fantastic views of Mustique and other smaller islands. We even saw a couple of whales! What is the allure of this tiny island that no one has heard of? It is one of the few places still unspoiled by massive tourism, cruise ships, large hotels/condos, traffic, noise, etc. It is small and hard to get to and lacks many of the modern amenities of luxury resort destinations. It forces you to take life slow, relax, appreciate the beauty of nature and the kindness of people. It is a hidden paradise and we will continue to visit Bequia and hope it remains just as it is, unknown and primitive. You put the rum in the coconut and shake it all up! Too many rum punches at De Reef, need tree for support! Lazy Days at De Reef. South America in 30 Days! South America in 30 Days!! 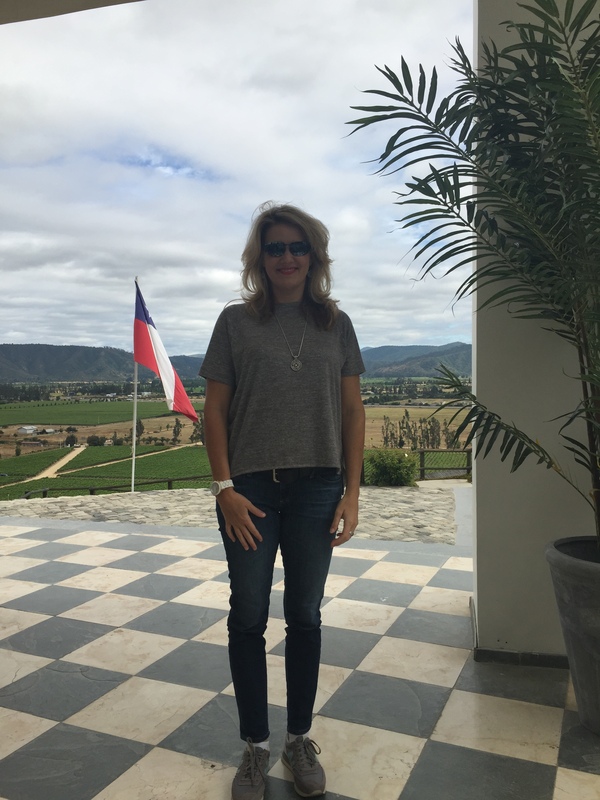 Happy Happy in South America!! 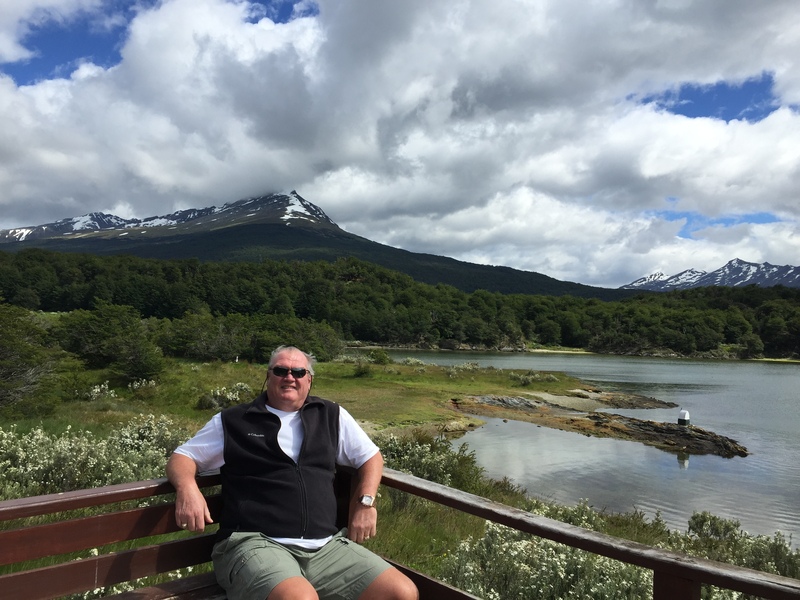 We are just back from our trek around the continent of South America. What a trip! We saw so many places, experienced so many different cultures and sampled so many different cuisines. We went from warm and humid 80 degree days to cold and windy 30 degree days. The drastic change in climate made packing difficult, especially when trying to fit everything in 1 suitcase! We did it though. We also both caught the South American flu while we were traveling which hounded us for 12 days. Unfortunately, we did not catch it simultaneously, so one of us was always sick during this trip. Ugh. I call it the South American flu as the US flu shots we received obviously did not protect us against it. We did our best not to let it slow us down, but we did miss a few things. 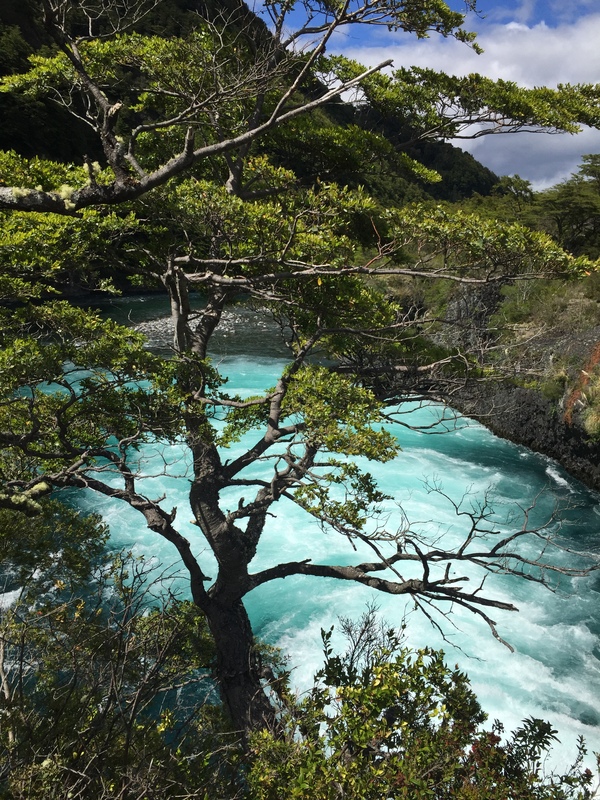 Our overall impression of South America is that it is a place that offers some of the most gorgeous scenery we have ever witnessed along with some of the most abject poverty. Many of the towns and cities we visited throughout the continent were very dirty and homelessness and poverty were everywhere you looked. All of the gorgeous historical buildings were covered in graffiti, trash was everywhere, stray dogs, shanty towns, etc. It was really quite sad and surprising to us. We expected poverty, but this was poverty on an Africa scale and we did not expect that. It truly makes you appreciate where we live and how fortunate we are to be born in the United States. 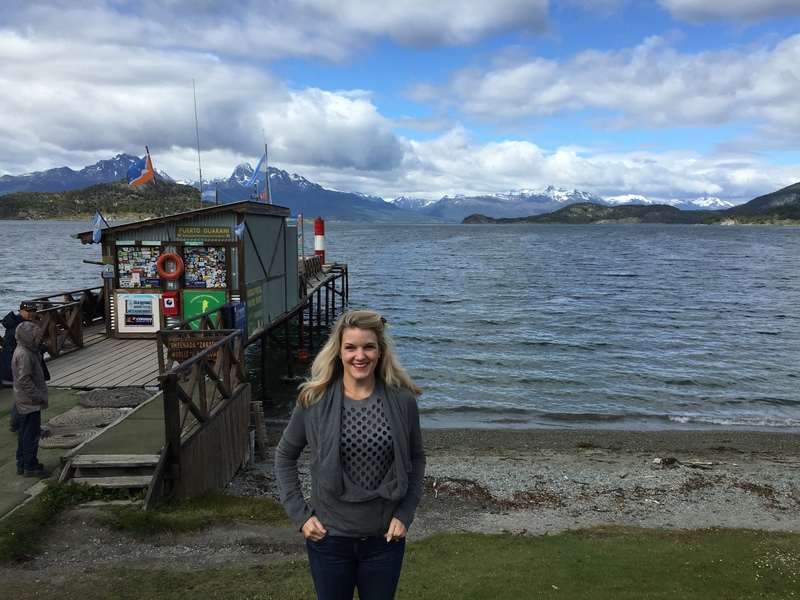 However, when we traveled off the beaten path in the southern part of South America, especially Patagonia (which encompasses parts of both Chile and Argentina), the sheer beauty of nature was all that was on display. 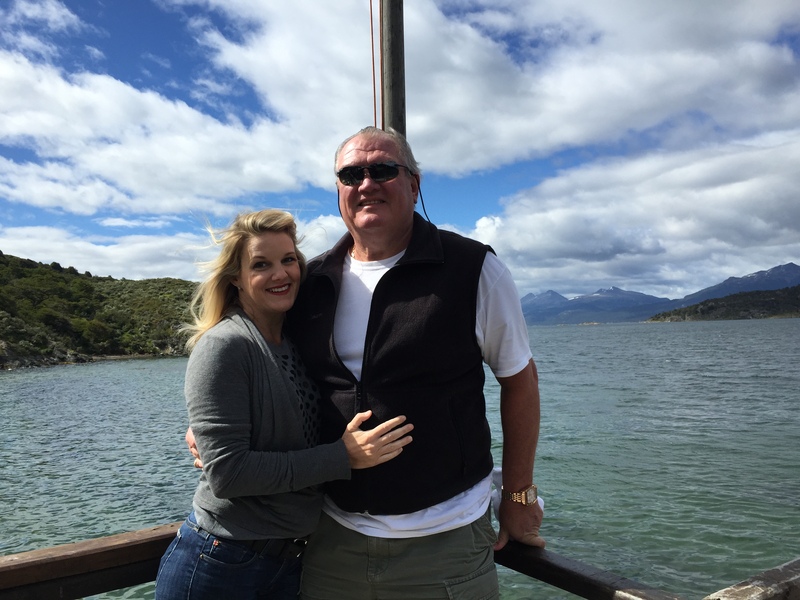 The pampas of Patagonia, the fjords of Chile, the Strait of Magellan were all so magnificent. It is hard to describe just how beautiful it is and pictures do not do it justice, but we still took plenty! I think our favorite aspect of the trip is the people we met and all of the things we learned from them. 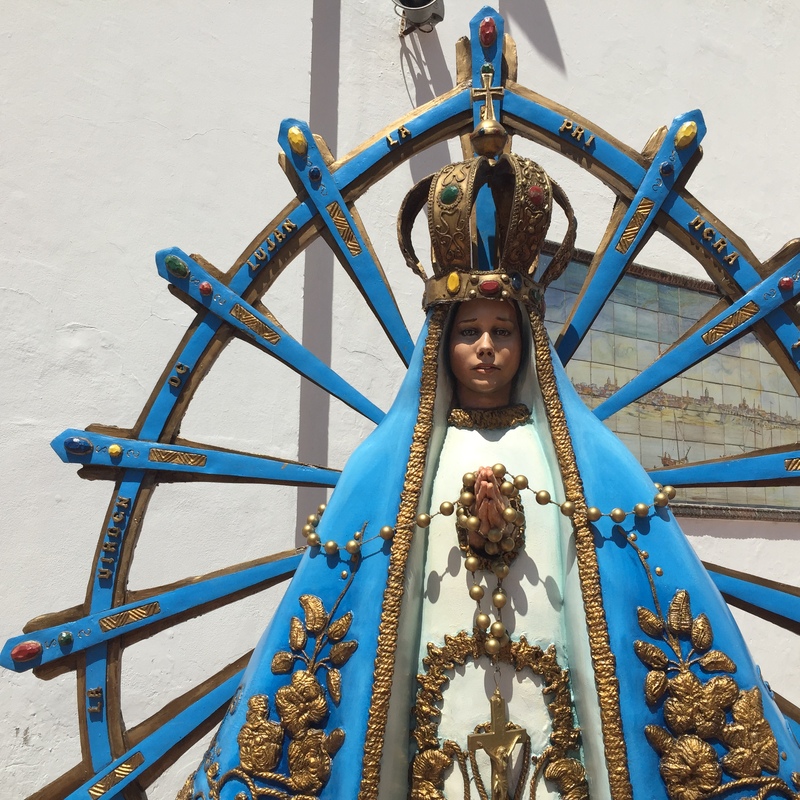 We used local guides for each port/city we visited and did private tours with them. These guides were so knowledgeable and proud of their towns/countries and so friendly and welcoming to us. It is truly the best way to experience a foreign place. We enjoyed the conversations and everything they taught us. They made our experience authentic and meaningful. 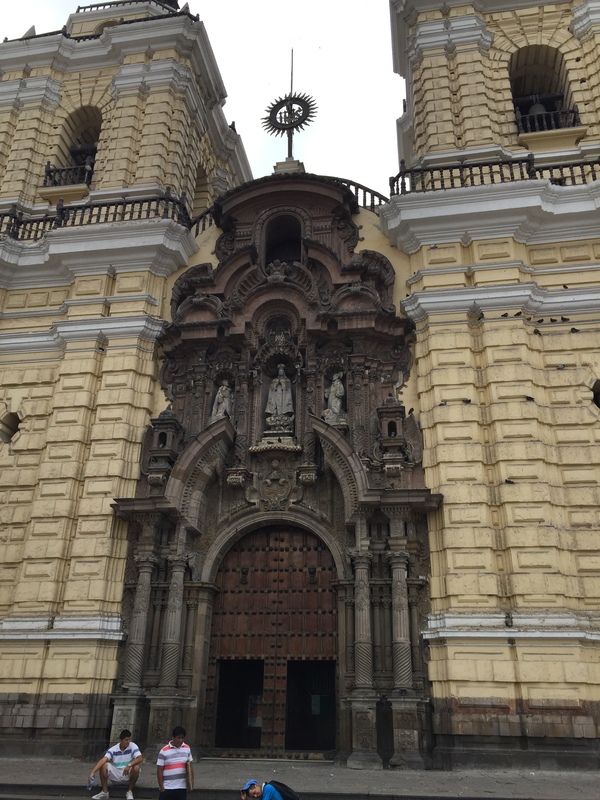 Lima, Peru- Great food, horrible traffic! 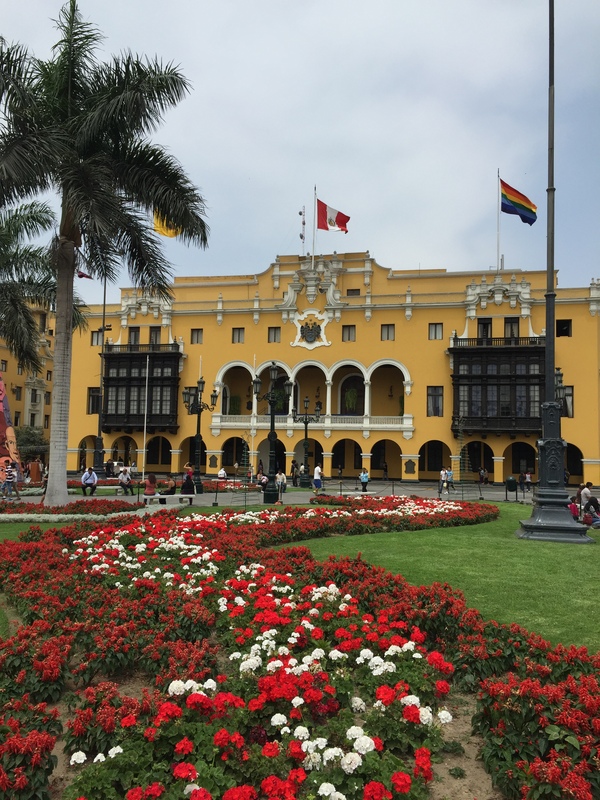 Lima was a highlight of the trip because we had a great guide, Oscar, who taught us much about his city and country. Although the traffic was a nightmare. It seems there are no traffic laws in Peru. Vehicles create 5 lanes on a three lane highway. Stop signs and red lights are a mere suggestion. Dogs and rickshaws share the road. And there is dust and dirt everywhere. 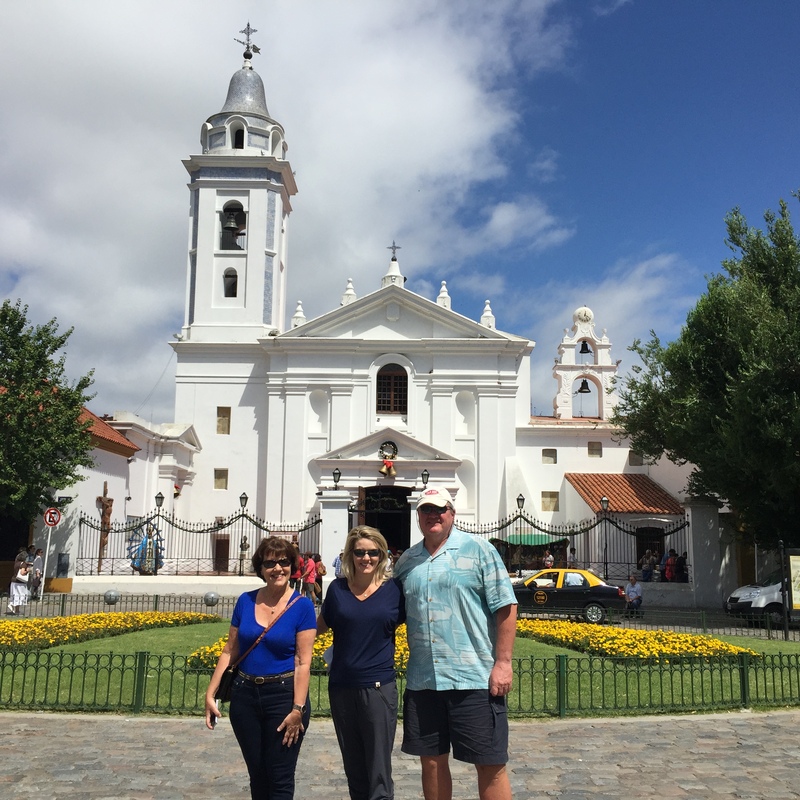 Once we were out of the car, all was ok.
We visited the Convento de San Francisco monastery dating back to the 1600s. While we have seen many older churches than this one in Europe, this monastery was interesting due to the catacombs below which were only discovered in 1943. 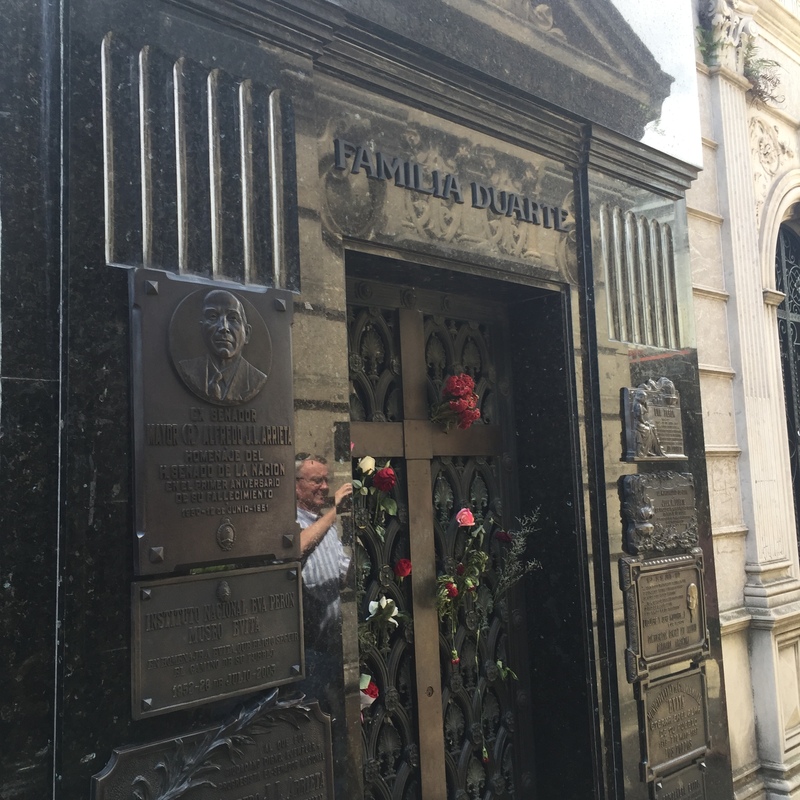 You can walk around the narrow passageways in these catacombs and view the bones of the thousands of individuals buried there over the years. It was quite spooky and a little confining, especially for Pirate who could not stand up straight. It was kind of like bone overload though—femurs to the left, skulls to the right. The monastery also had the most amazing library we have ever seen. Antique texts dating back to the 1400s lined the walls, there were thousands of them. We visited the beautiful Plaza de Armas to see the changing of the guards and were surprised to see the official government band serenade the crowd with an odd assortment of old pop tunes, Xmas carols and the expected national anthem. We were shooed away by police with assault rifles due to approaching protesters. There were protesters in every main plaza that we passed. 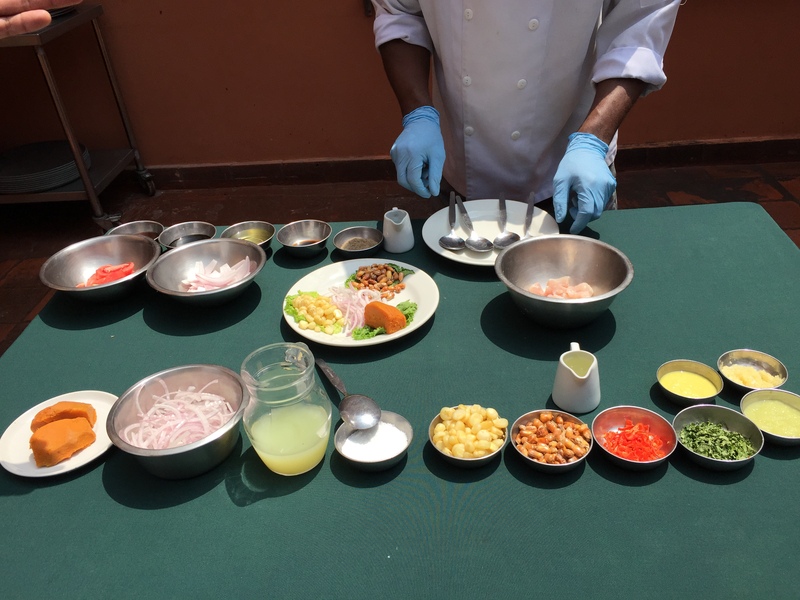 We also enjoyed a feast of the typical Peruvian meals of ceviche and wok seared beef and veggies. We were given a lesson in how these are prepared and then ate it all up. It was delicious. 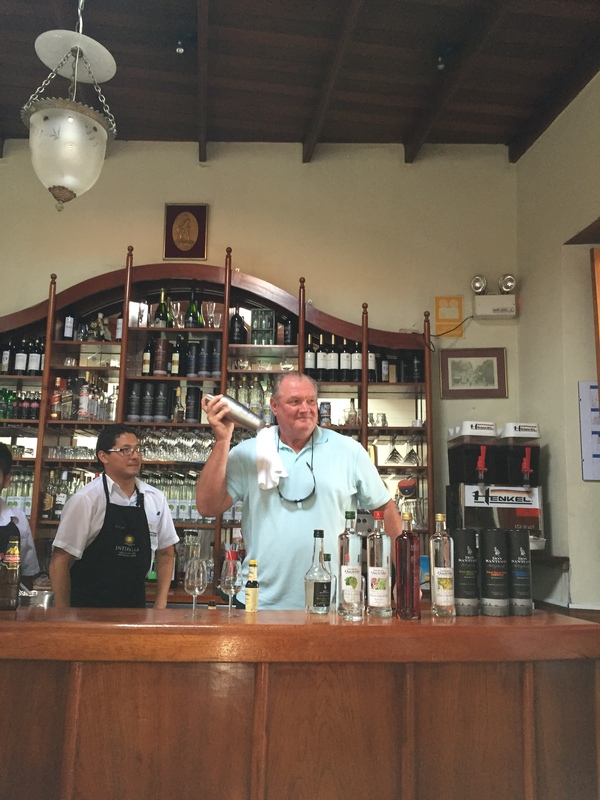 After that, we learned to make Pisco Sours and even took our turns behind the bar. 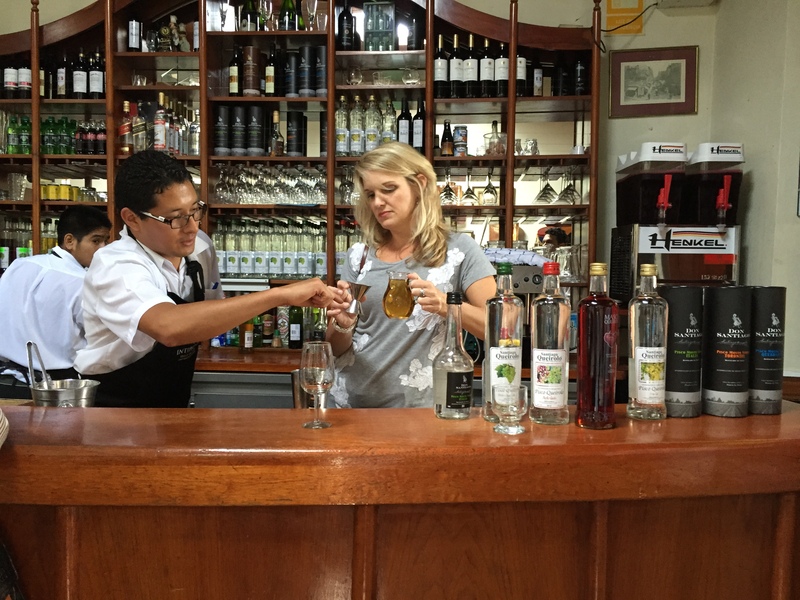 Pisco is a quite strong over proof brandy. The traditional way to make the cocktail includes Pisco, key lime juice, agave nectar and one egg white- shaken vigorously with 3 ice cubes. The result is a small martini sized drink with a nice froth on top. Very good and very potent! 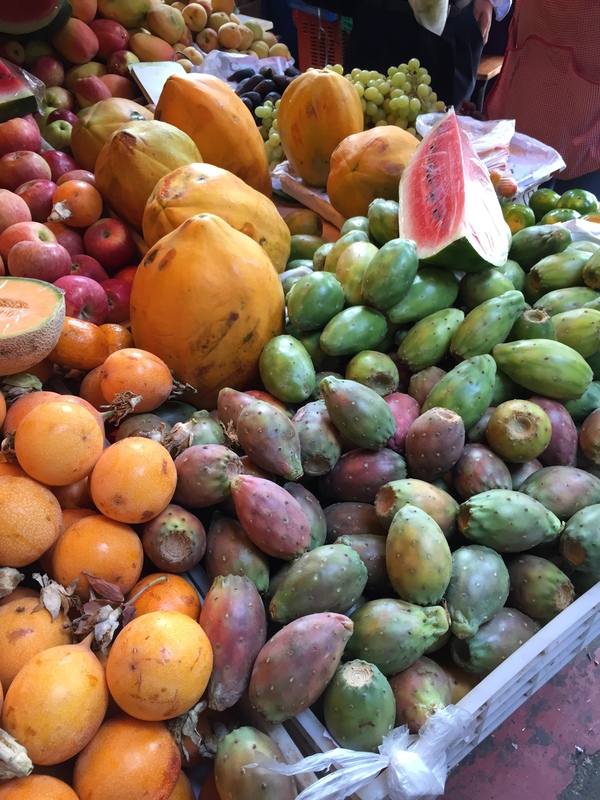 Another highlight was our visit to the local farmers market. It was interesting to see the unique fruits and veggies they had on display. Every variety of potato you can imagine- they like their tots! We visited other places in Peru, but they weren’t highlights of the trip, in fact there is one place we would like to forget completely..lol. 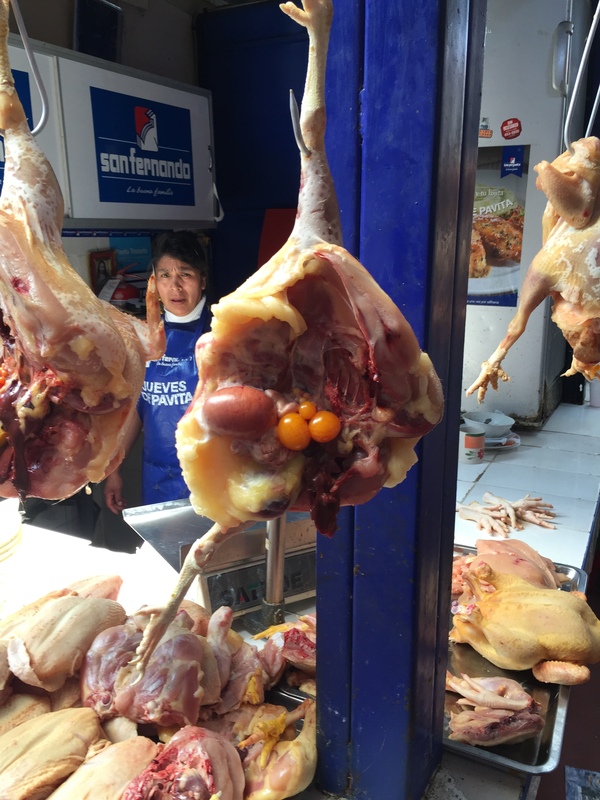 Chicken swinging in the breeze at the market. 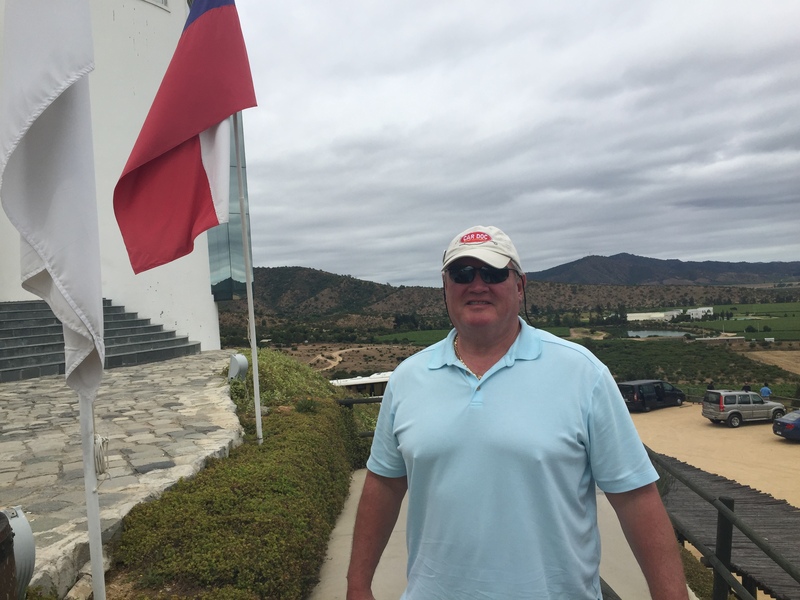 We also enjoyed our time with Respado,our guide who showed us around the Casablanca wine valley of Chile and the coastal towns near Valparaiso. The Casablanca Valley is new to wine having only started planting vines in the 1980s. 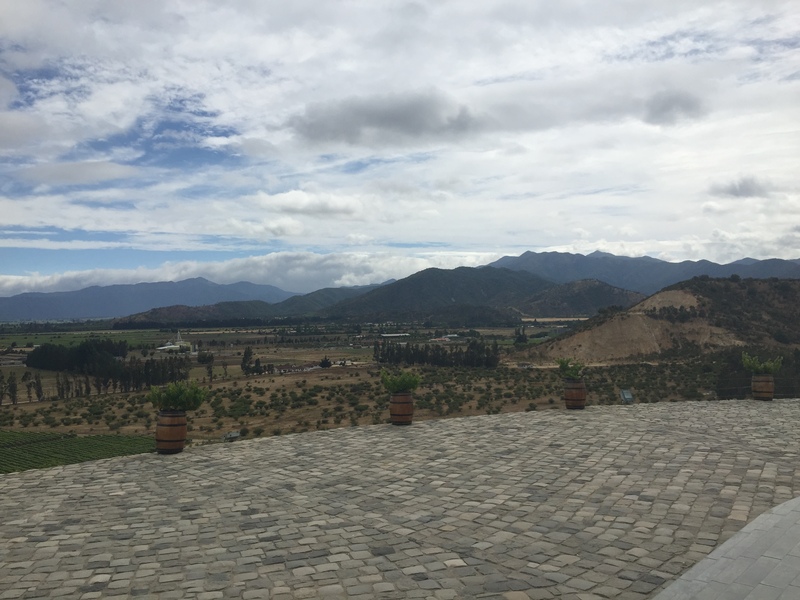 We visited several wineries but the two worth mentioning were La Domita which had an outdoor tasting area with an incredible view and Emiliana which was an organic winery which did lots of experimentation with mixing grapes. The white wines were quite good. The reds wines were lacking, but that is expected in such a new wine region. 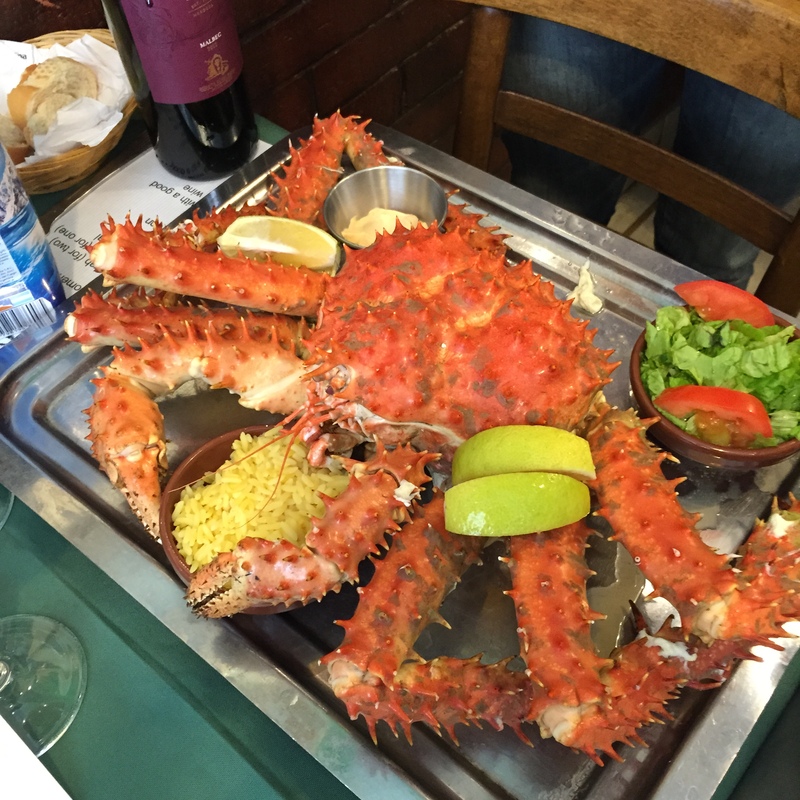 We had a Chilean feast in the coastal town of Vina del Mar. 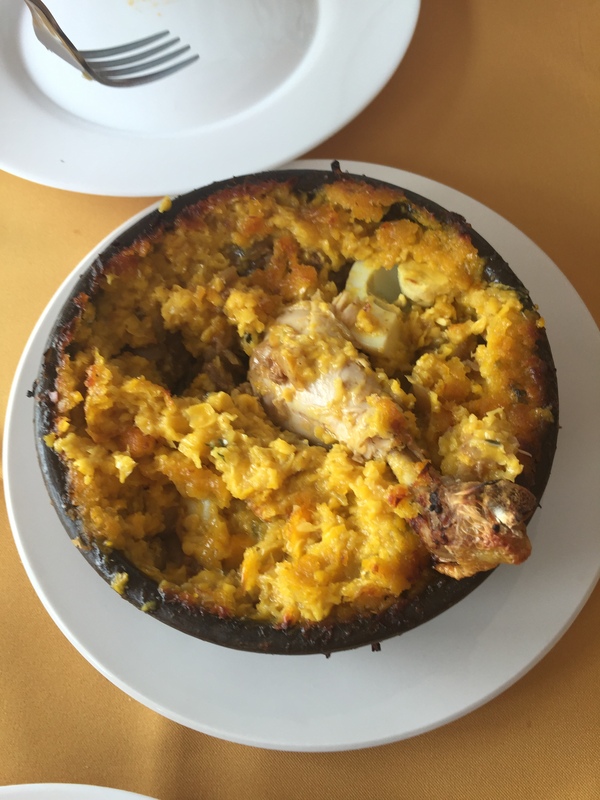 We ate the local specialties of conger eel and corn pie. Pretty interesting and quite tasty. All of these places were simply gorgeous. We were fortunate to have had beautiful weather when visiting them as the norm is rainy, overcast days. 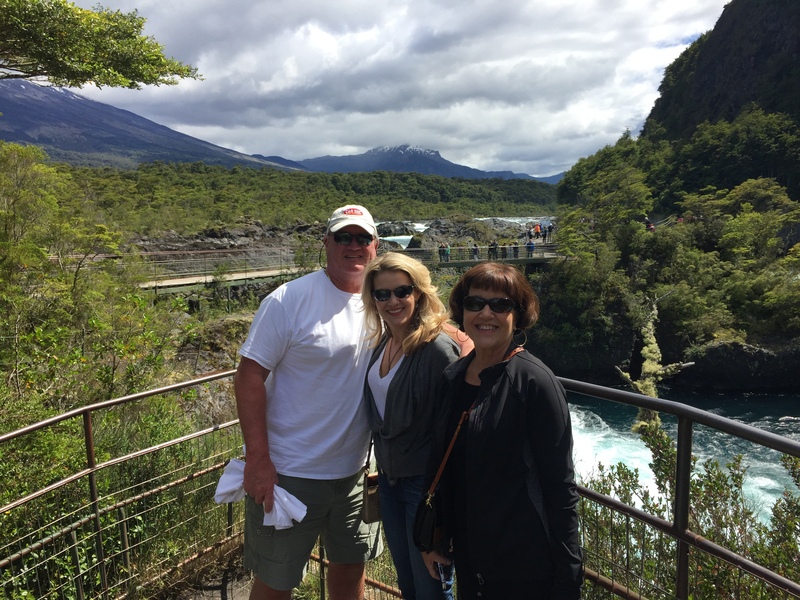 We had a clear and sunny sky and were able to really appreciate the beauty of all of the scenery around us. 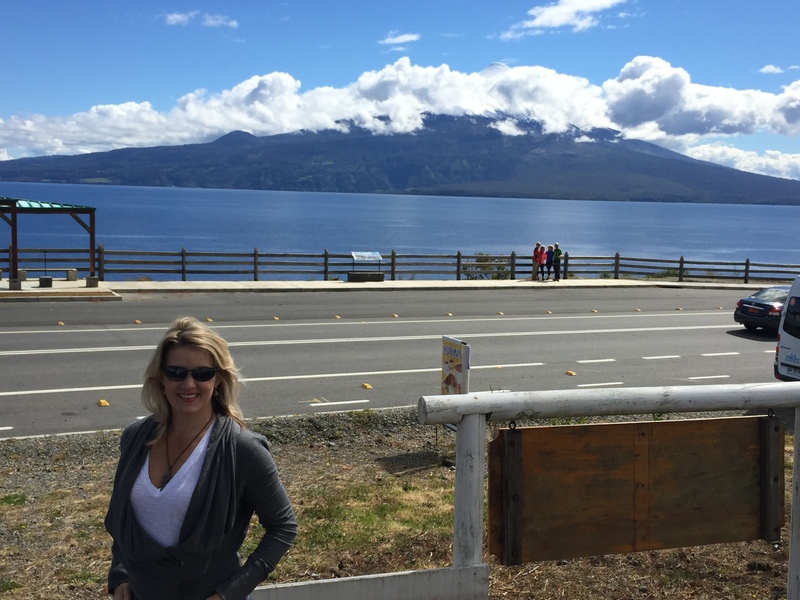 What was interesting too about the town of Puerto Varas is that it was like stepping into a Bavarian or Swiss village. Many Germans and Swiss came to this area in the 1800s to farm the land and descendants of these families are still prevalent today. The lake and the falls were too beautiful to describe. We didn’t know where to look- everything was gorgeous. 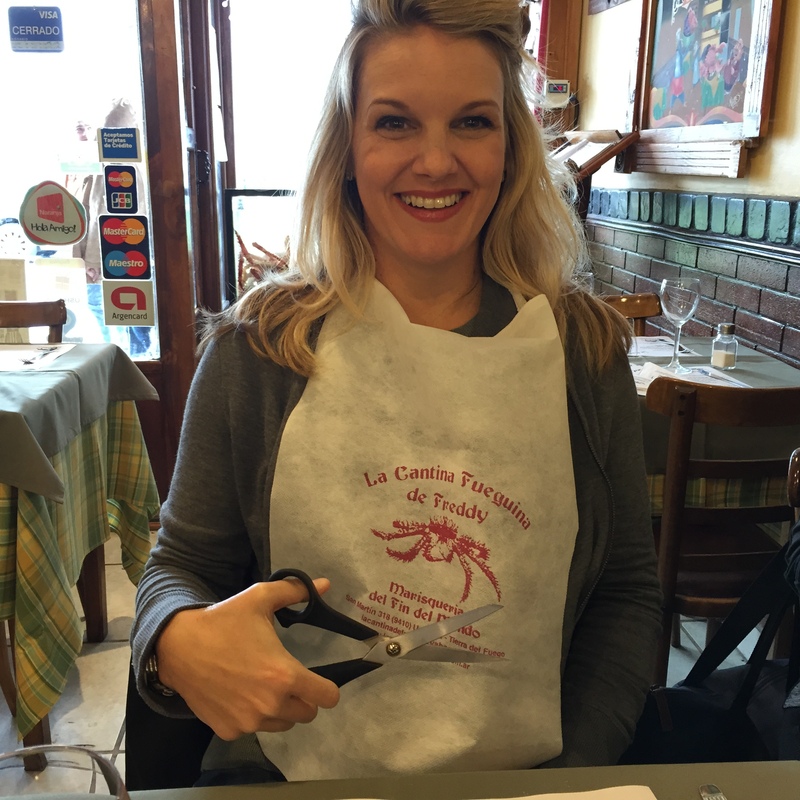 Lunch was a fabulous meal of freshly caught salmon with a king crab sauce. So decadent and delicious! 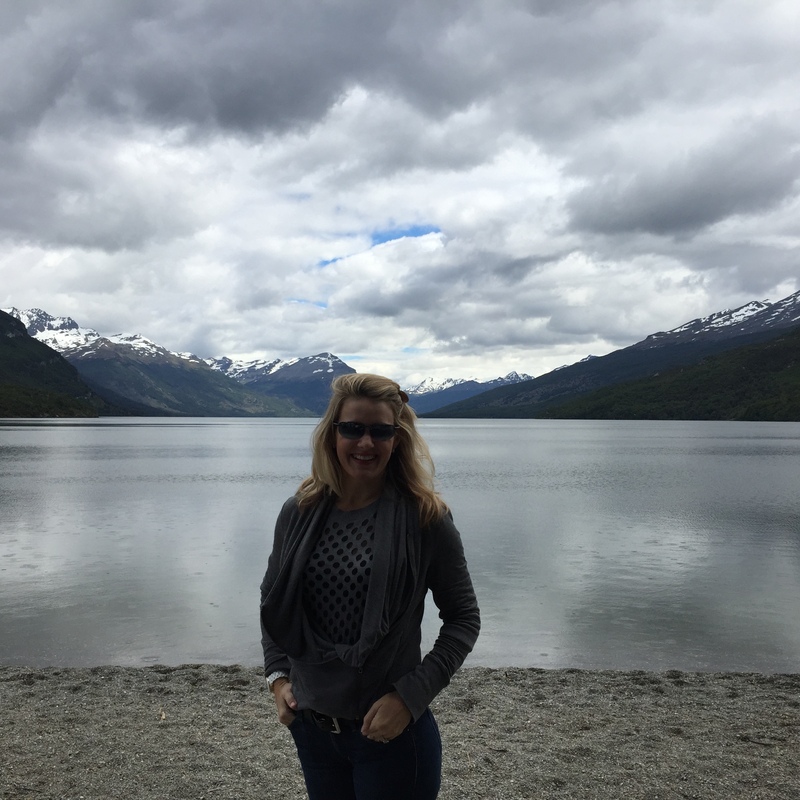 Punta Arenas was our introduction to Patagonia and the never-ending pampas. The city of Punta Arenas is located in the southernmost area of mainland Chile right on the Straight of Magellan. 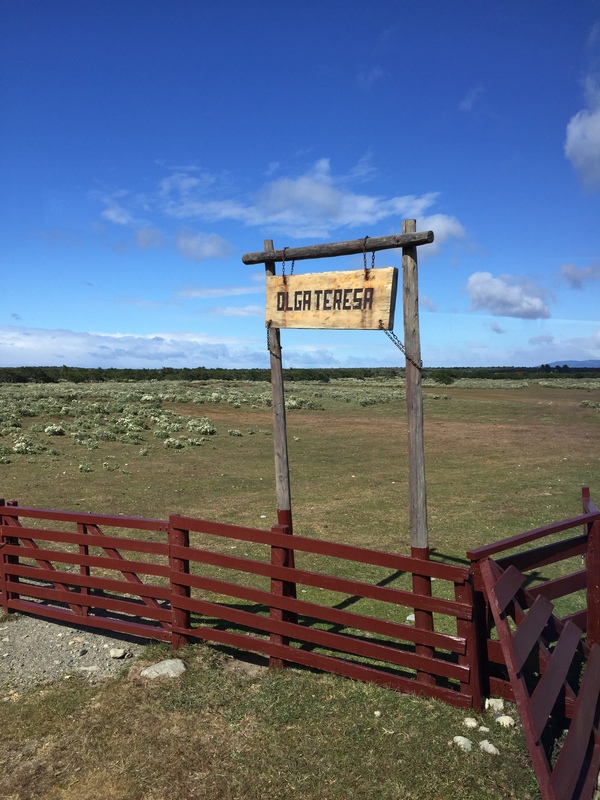 Driving from Punta Arenas to the north is the Chilean pampas (or steppe). It is miles upon miles of flat land mostly used for raising sheep. It is beyond beautiful. We drove for miles and miles and never got tired of the view. 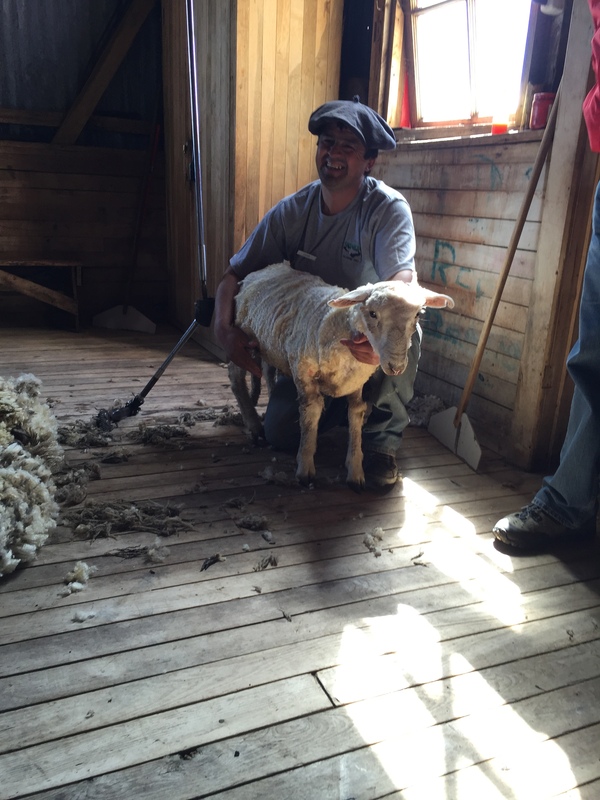 We spent the day at a traditional sheep farm called Estancia Olga Theresa. What an interesting experience this was. 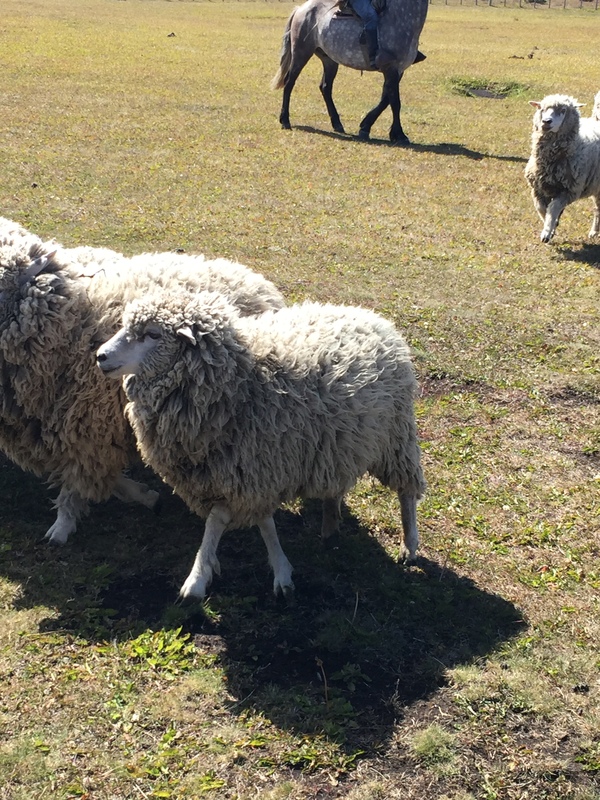 We were able to view a gaucho and his highly trained dog herding sheep. 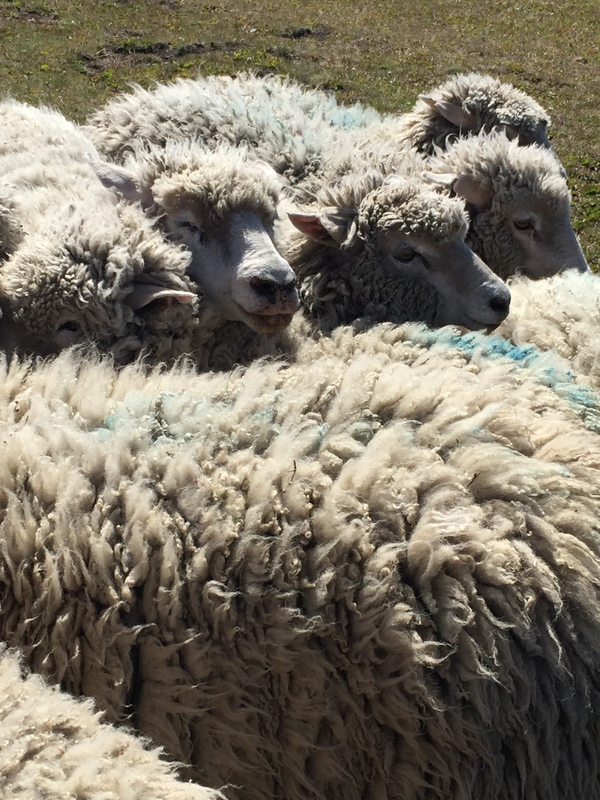 We also were able to watch them sheer the sheep. 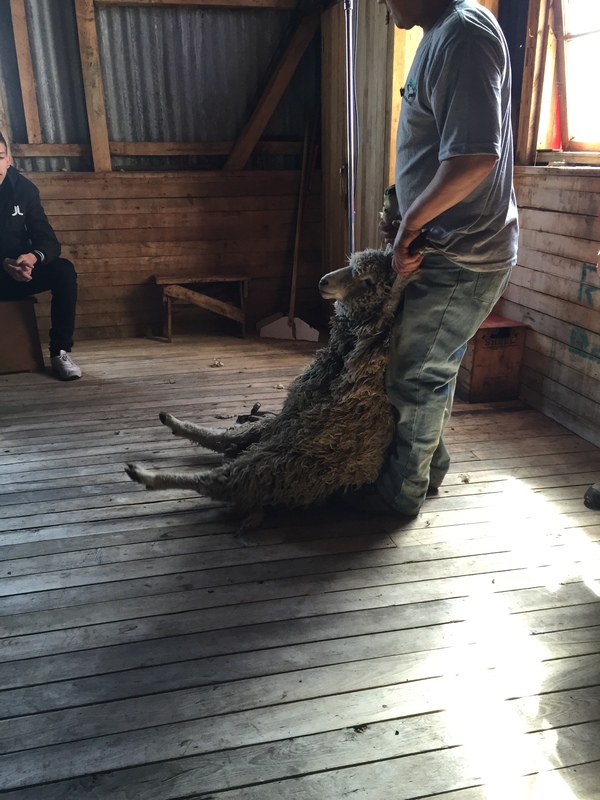 It was quite impressive to see just how fast they can shave a sheep (under 4 minutes). All of this was topped off with a lamb barbeque and Chilean wine and empanadas. This was the best lamb we have ever tasted. It was a great day and it was really eye-opening to see just how hard these people work each and every day. It is not an easy life and they suffer through extreme weather conditions all the time. But they live in one of the most beautiful places we have ever seen. 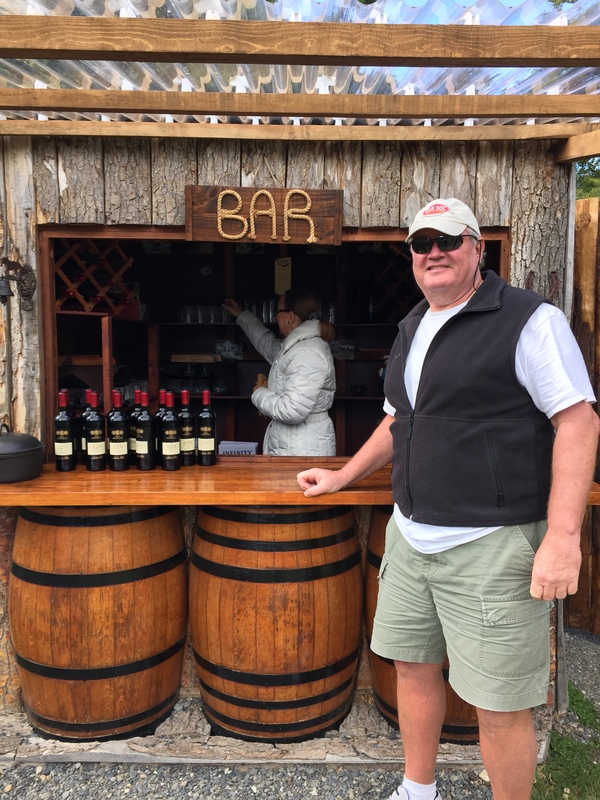 Pirate bellies up to the bar..
Ushuaia is the capital of the island of Tierra del Fuego. 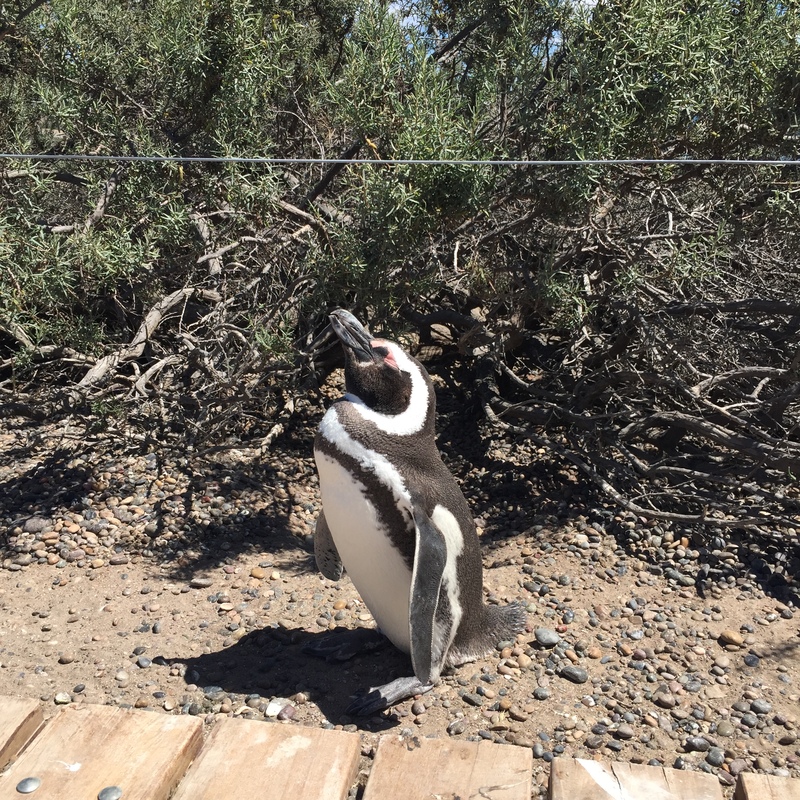 It is the southernmost city in the world and only 700 miles from Antarctica. People who live here are a hearty bunch. Winters (our typical summer months of June, July, and August) can be quite cold and always dark with only 1 or 2 hours of daylight. Summers (January, February) are very windy and still pretty cold (40s while we were there). 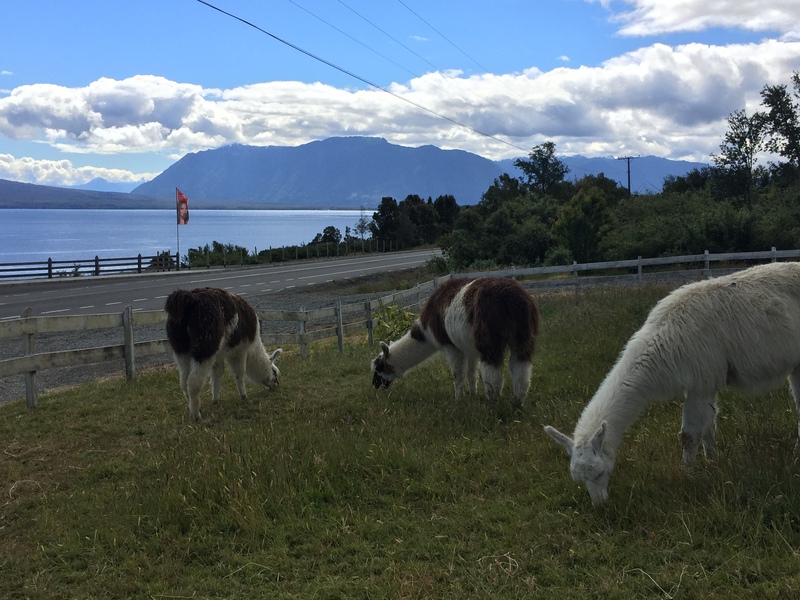 There is lots of eco-tourism there and many use it as a jumping off point for exploring Antarctica or for sailing around Cape Horn. 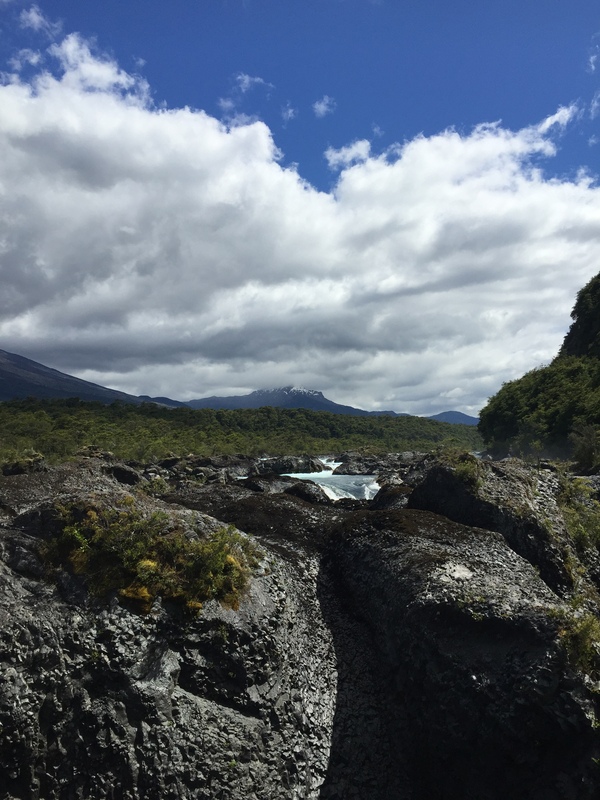 We spent much of our time in Teirra Del Fuego National Park which spans both the countries of Chile and Argentina. This was probably the most beautiful place we visited. Our local guide was excellent in telling us about the history of the place and pointing out all of the unique sights. 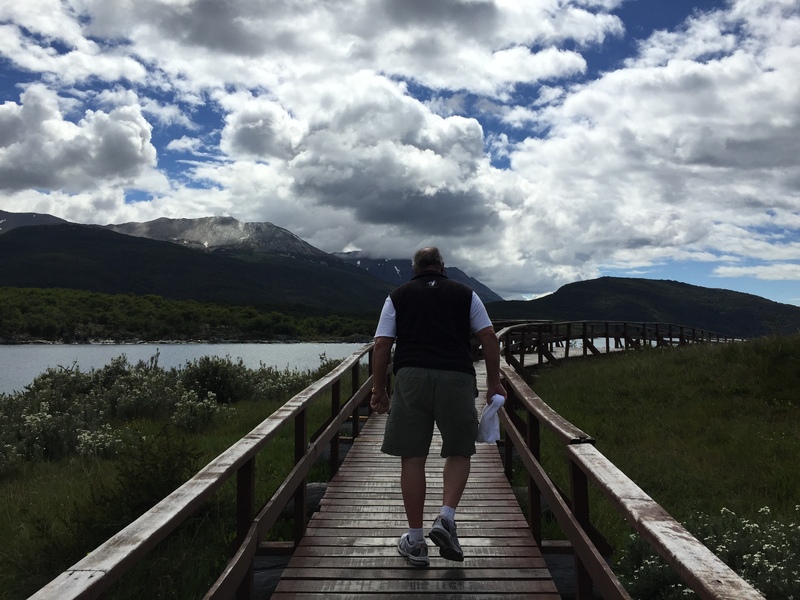 Ushuaia was first inhabited over 10,000 years ago by the Yamana Indians who only wore seal oil as protection from the elements. 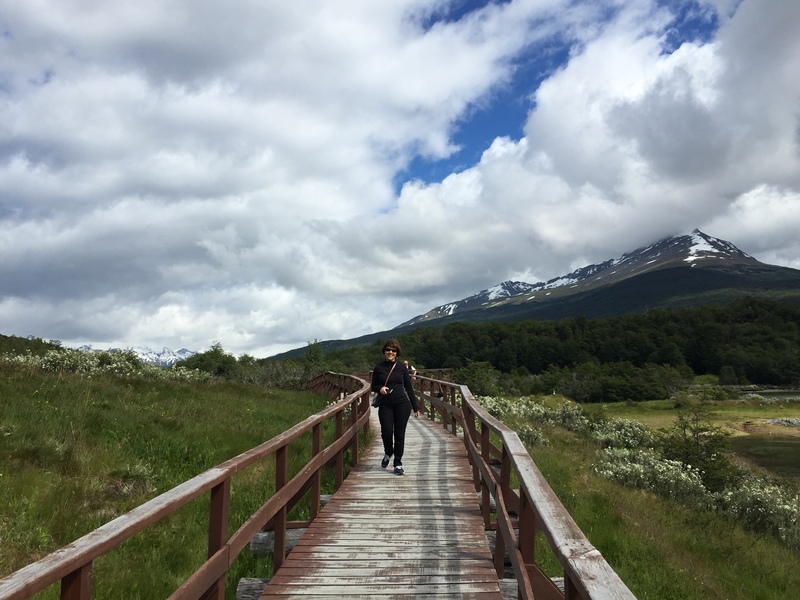 Ushuaia was also penal colony in the not too distant past. 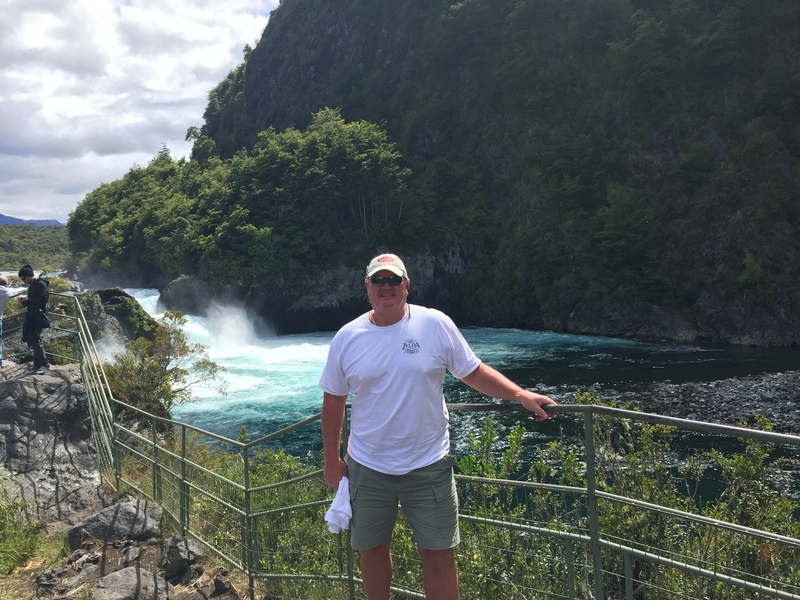 Our guide told us that government employees are rotated in and out every couple of years as not many people can withstand the harsh environment and months of darkness for too long without becoming suicidal or alcoholic. Lucky for us it was sunny while we were there! 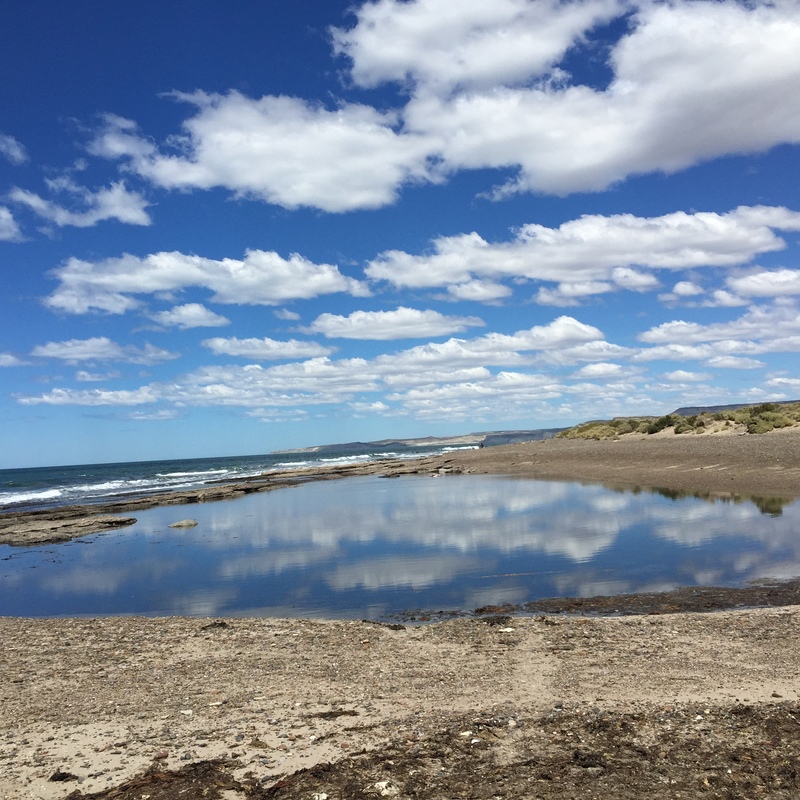 Puerto Madryn is part of Argentinian Patagonia. From this city we explored miles of the pampas and went of a sort of safari viewing all kinds of indigenous wildlife. 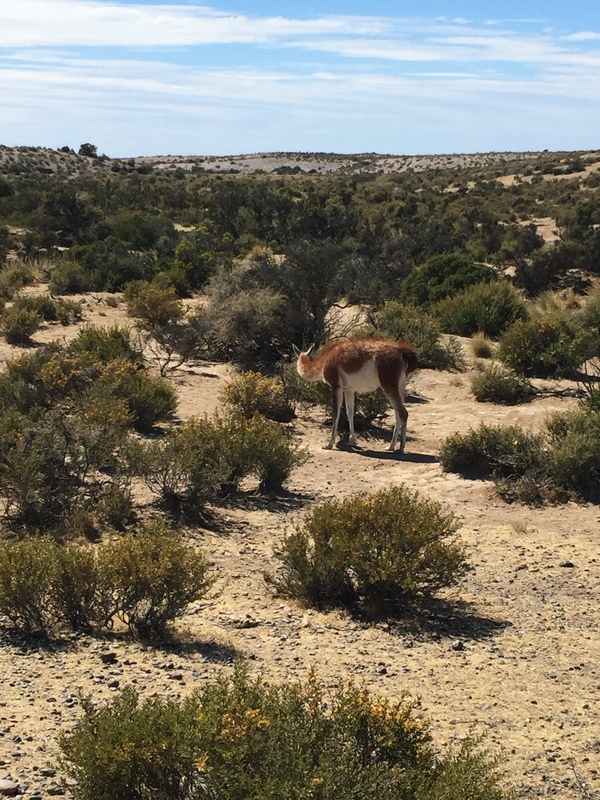 We spotted Guanacos (sort of cross between a camel and a deer), Rheas (ostrich-like birds), red fox, owls, and other animals. 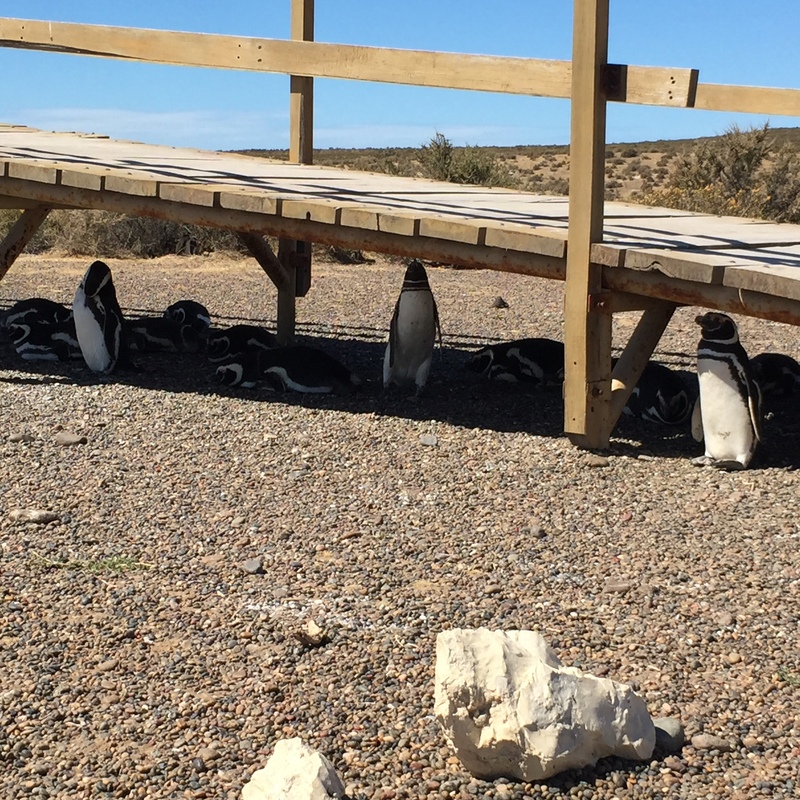 The highlight of the day was our visit to the Punta Tombo penguin colony. 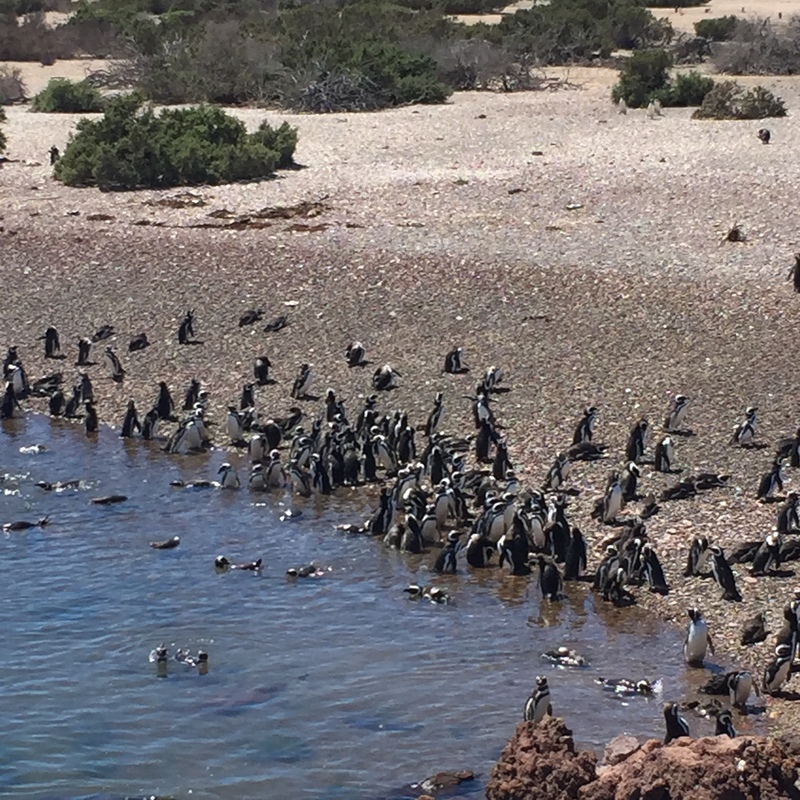 Punta Tombo has the largest Megallanic penguin colony in the world with more than 2 million of them. 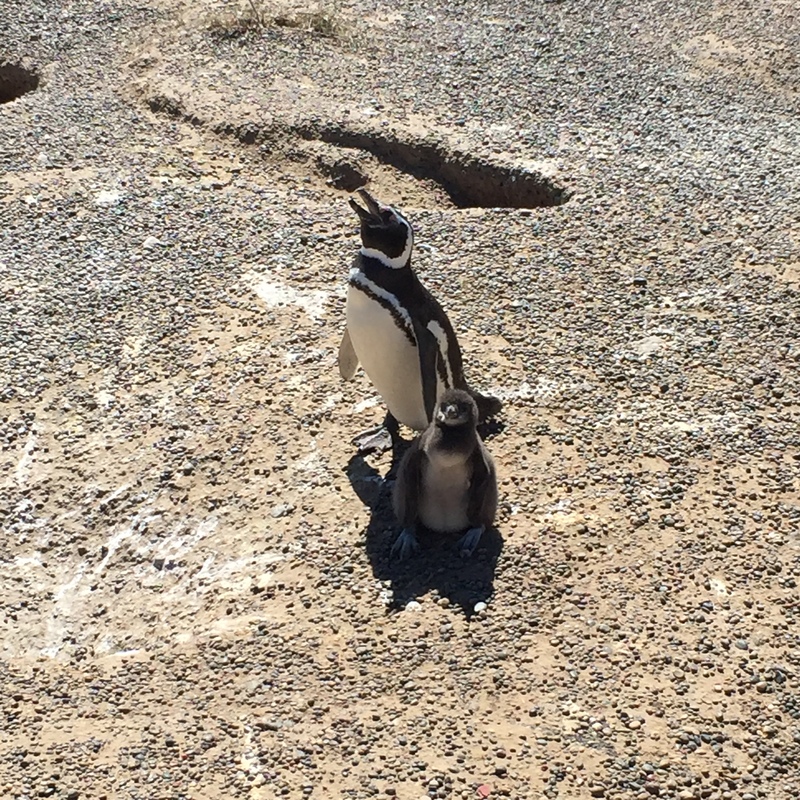 November through February is the best time to visit as this is when the penguins are feeding and raising their new babies. 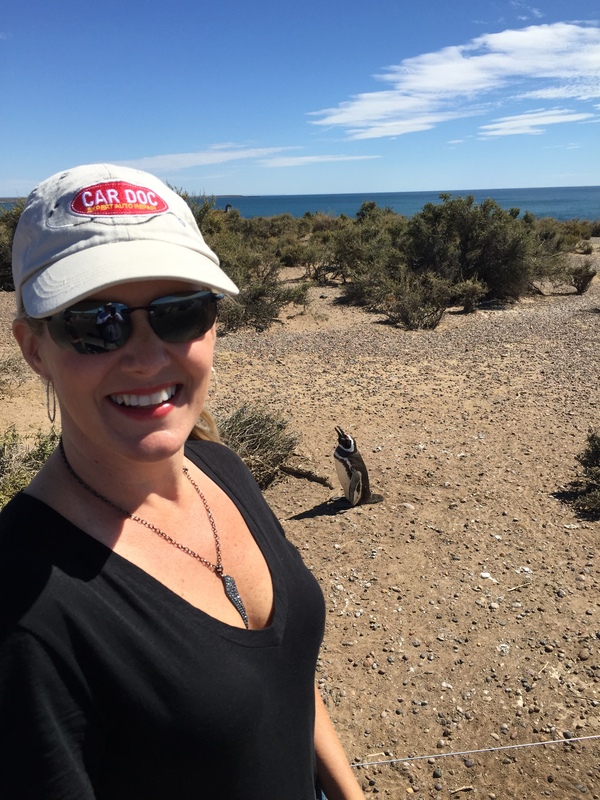 What is awesome about this place is just how close you are to the penguins. You walk amongst them trying to keep your distance of at least 3 feet away; but this can be difficult because they are everywhere. It was great to watch them feeding their babies and waddling to and from the sea. 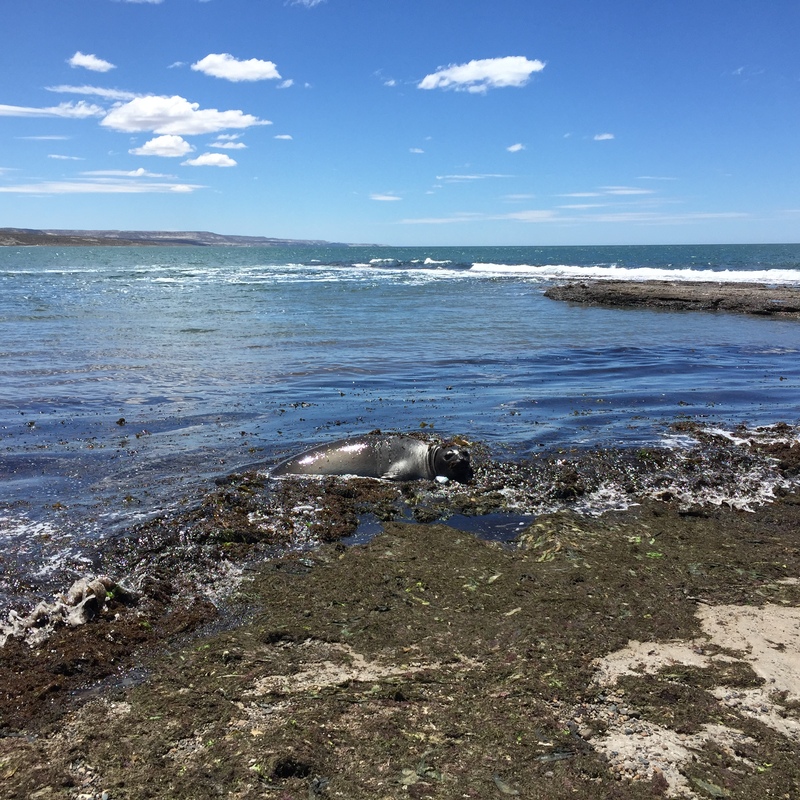 Another highlight was our stop at the remote Escondido Bay where we were able to see an Elephant Seal pup up close. This guy was very large for a pup and made the loudest noises! While we didn’t have much time in this capital city, what we were able to see was awesome. 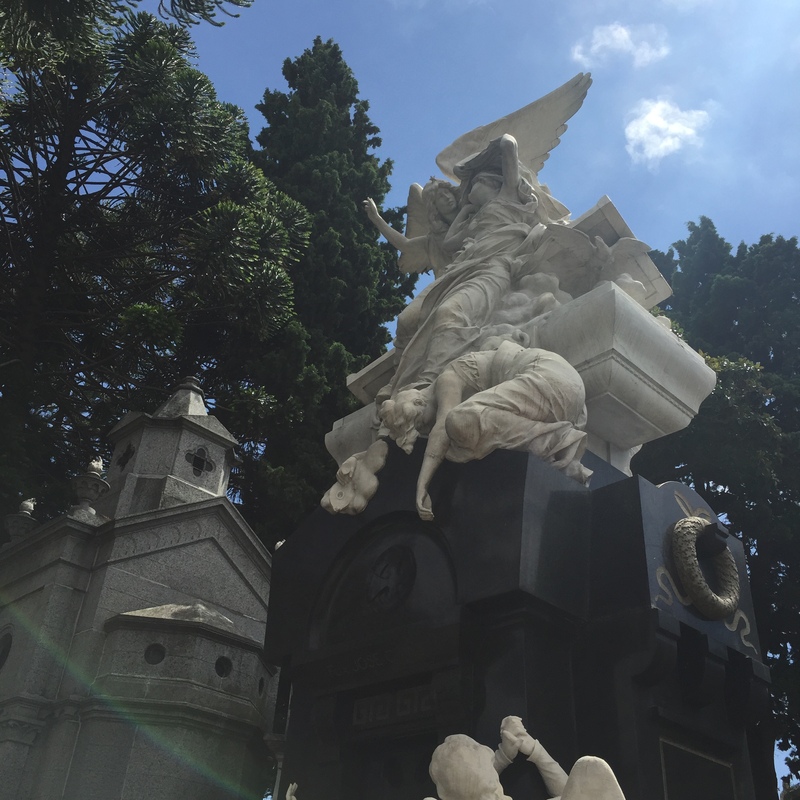 The highlight was definitely the Recoleta Cemetery. 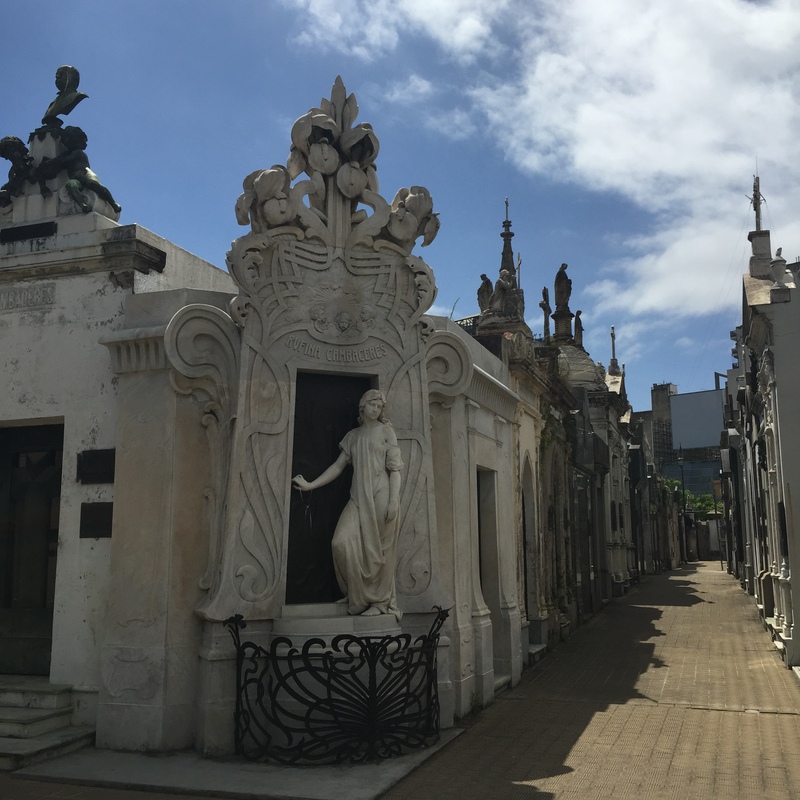 This is no ordinary cemetery. Each grave is an ornate piece of art. Each grave is huge with entire generations of families entombed inside. 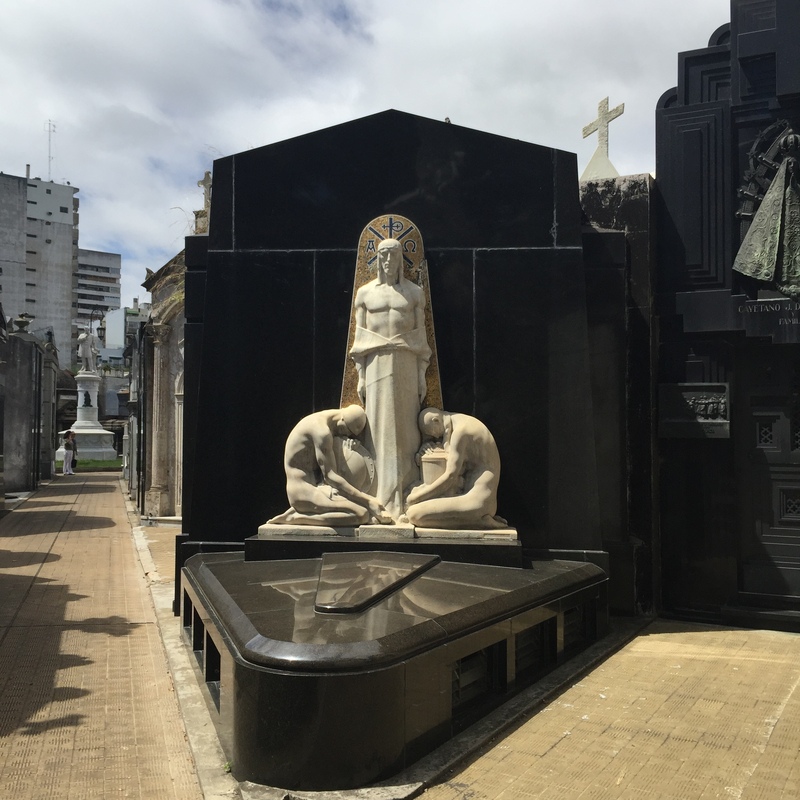 Also notable here is the grave of Eva Peron. As always, one of our favorites was the food. 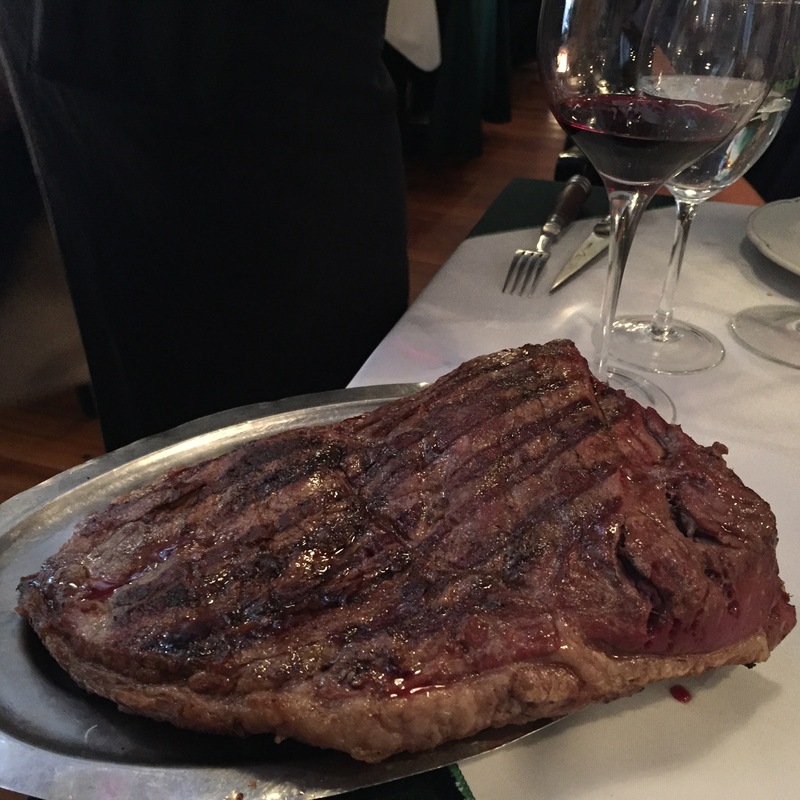 We lunched at a local steakhouse and had the best steak of our life. 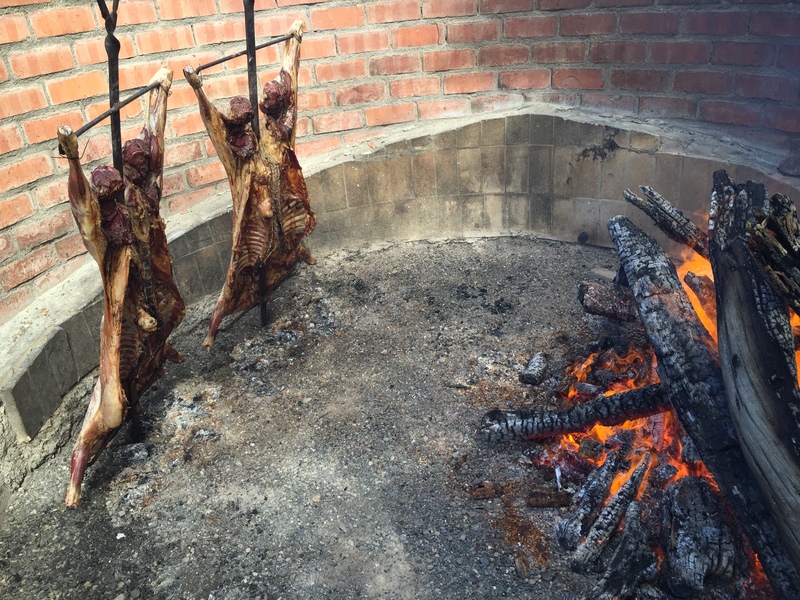 Something about Argentinian beef is just better that others! This steak was huge. Three people ate off of it and we didn’t even get halfway through it. Washing it down with a fantastic bottle of Malbec wasn’t too bad either. 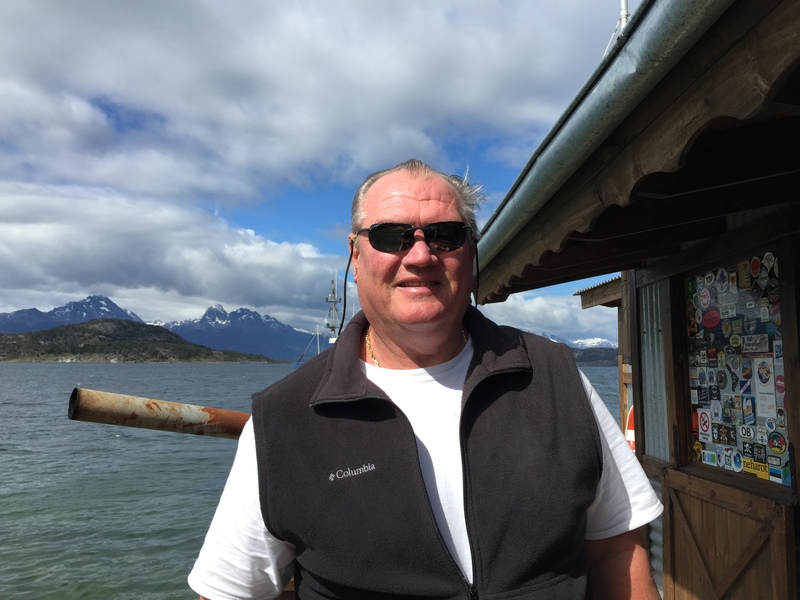 Author gumbopiratePosted on January 9, 2015 Leave a comment on South America in 30 Days! 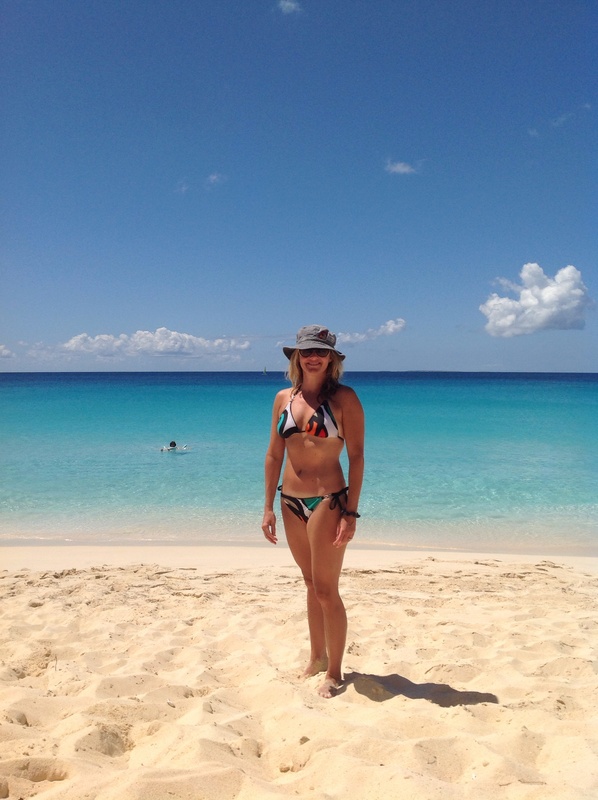 Ahhh, Anguilla! We love this island most of all! It is special to us as it is where we spent many Christmas and New Year holidays over the last ten years. 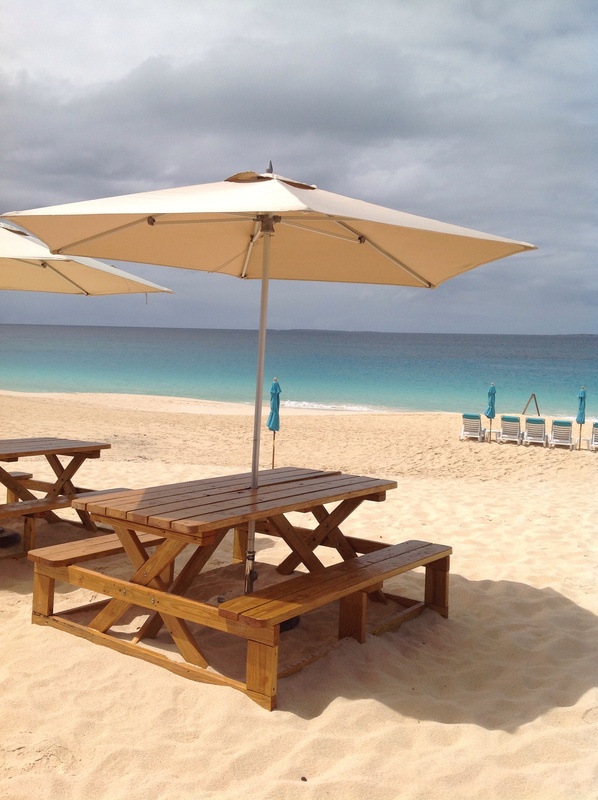 We always stay at Carimar Beach Club on Meads Bay. 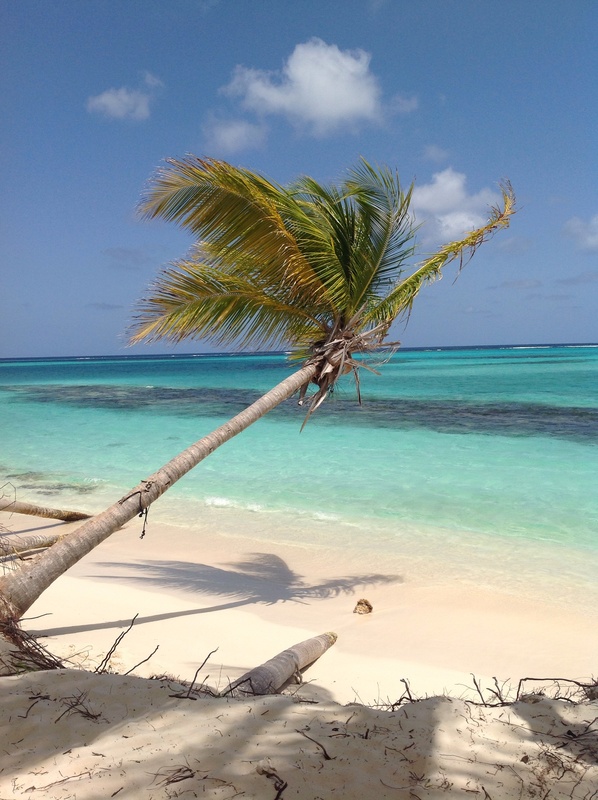 It is a magical spot with an unspoiled beach and the perfect shade of water. 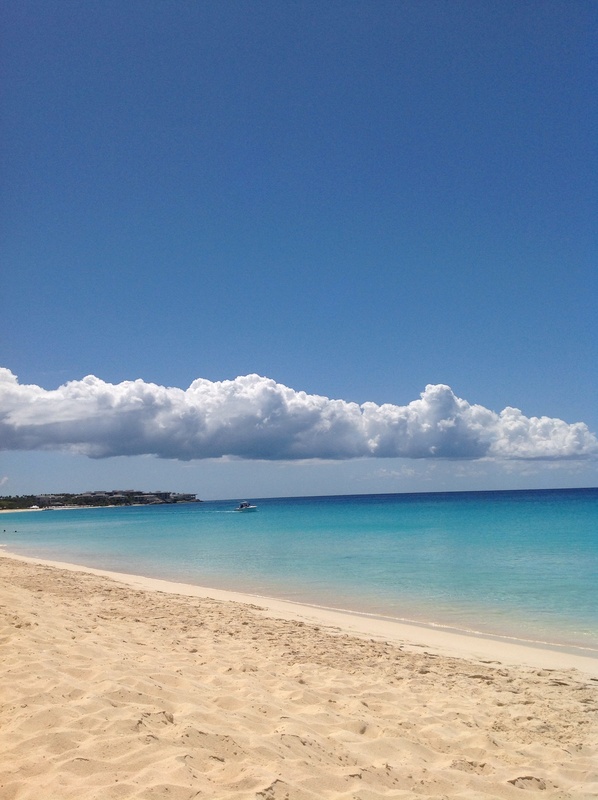 We visited Anguilla this March and all was as we remembered it. 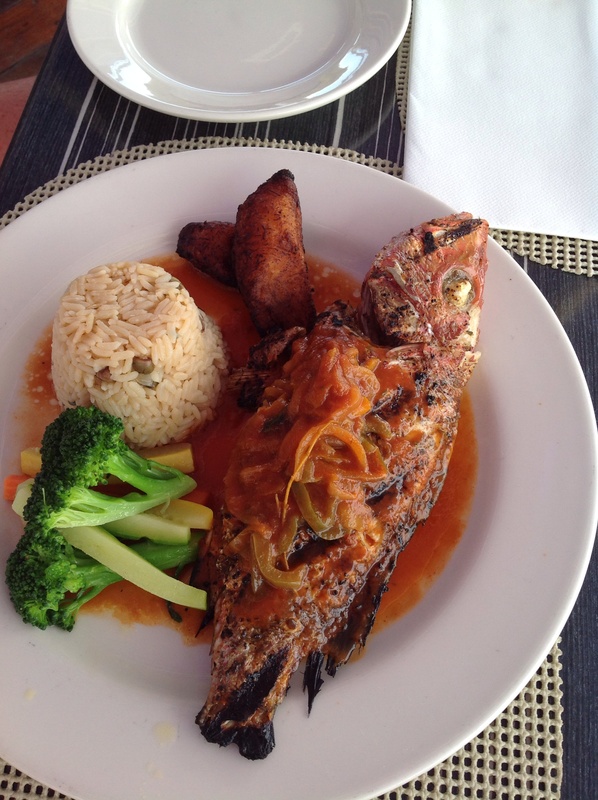 We especially enjoyed our time on Shoal Bay at Gwens Reggae Bar and the food at AXA Seafood House! Can’t wait to return! 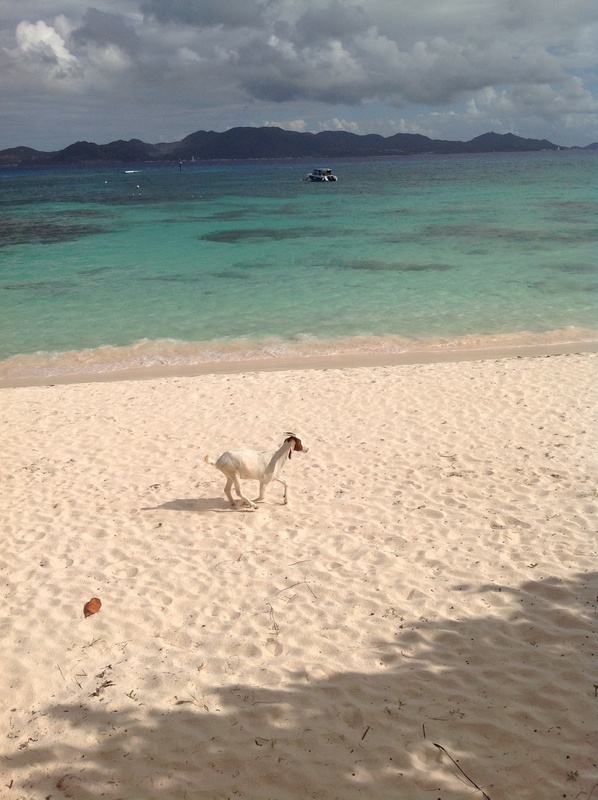 Everyone loves the beach in Anguilla! Pirate is happy on Mead’s Bay Beach.. Jumping for joy on Cove Bay Beach.